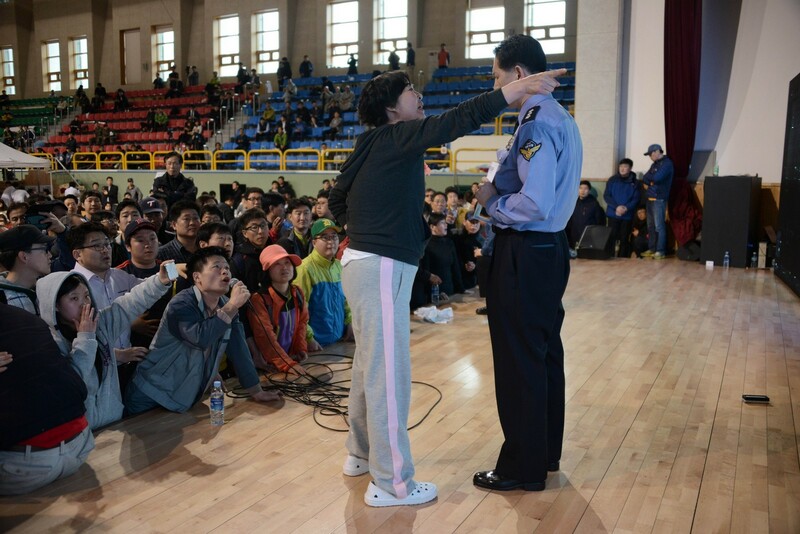 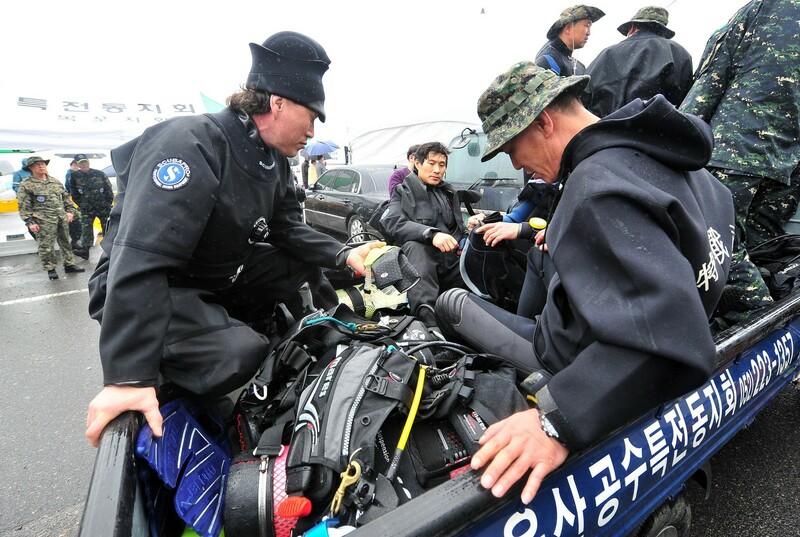 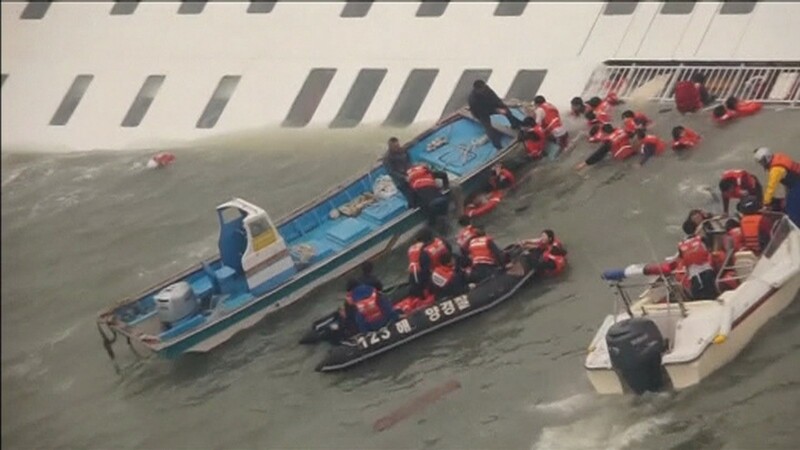 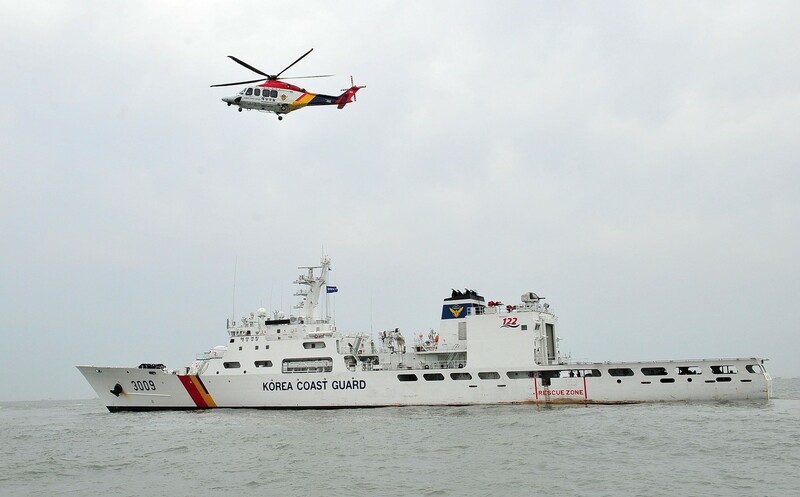 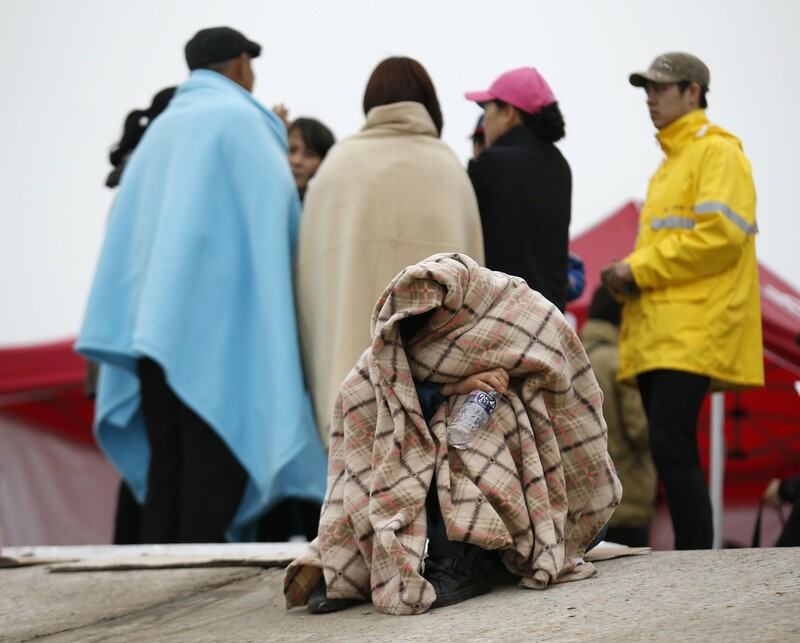 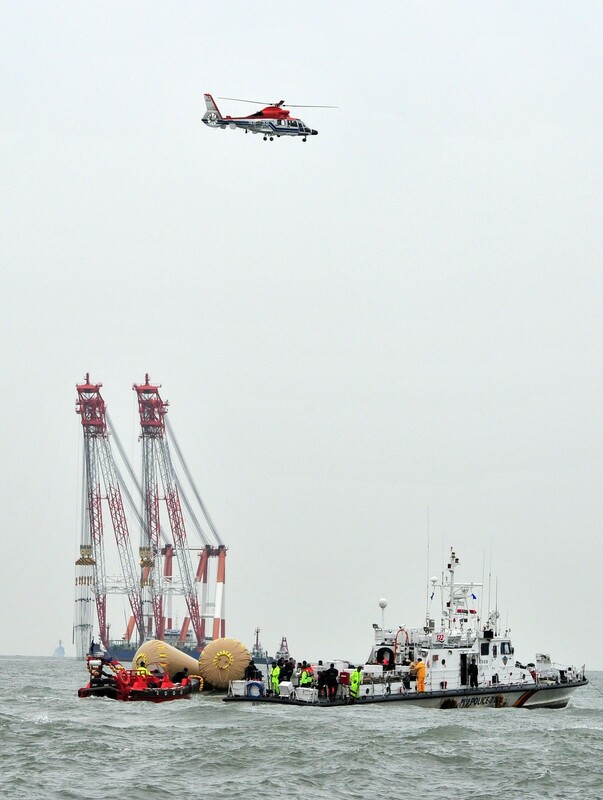 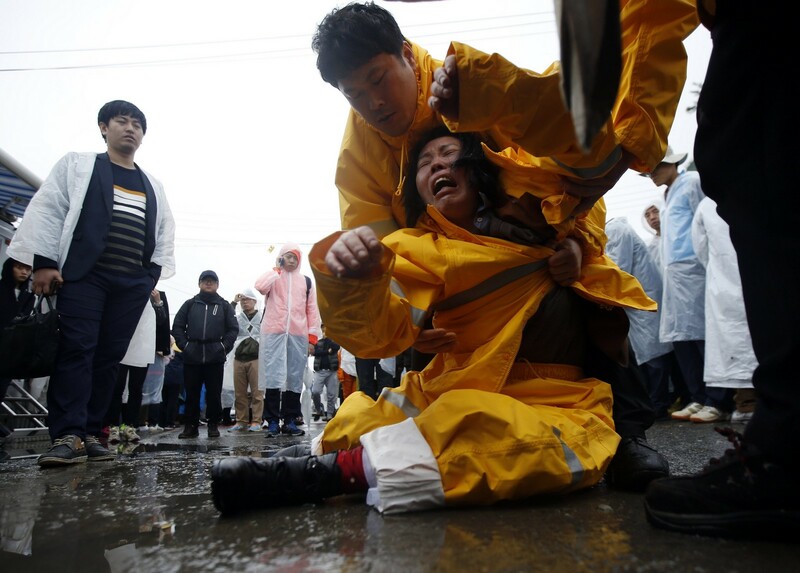 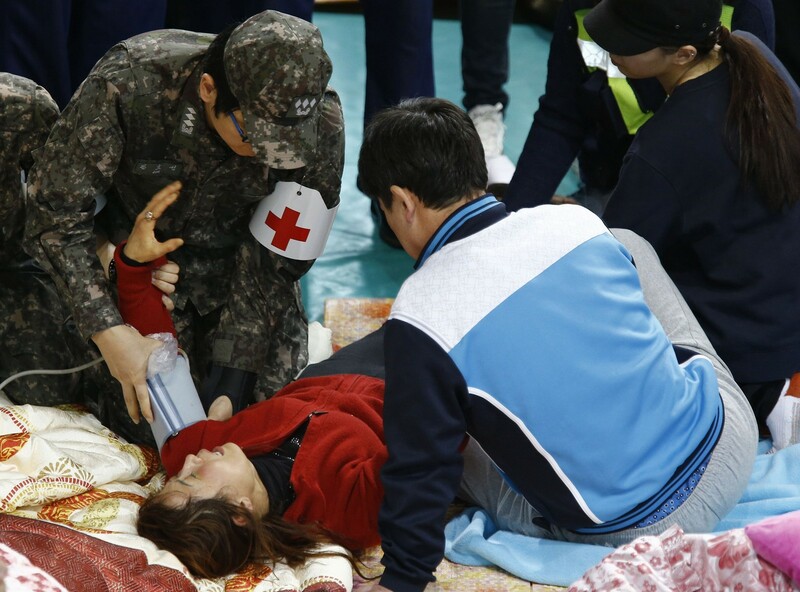 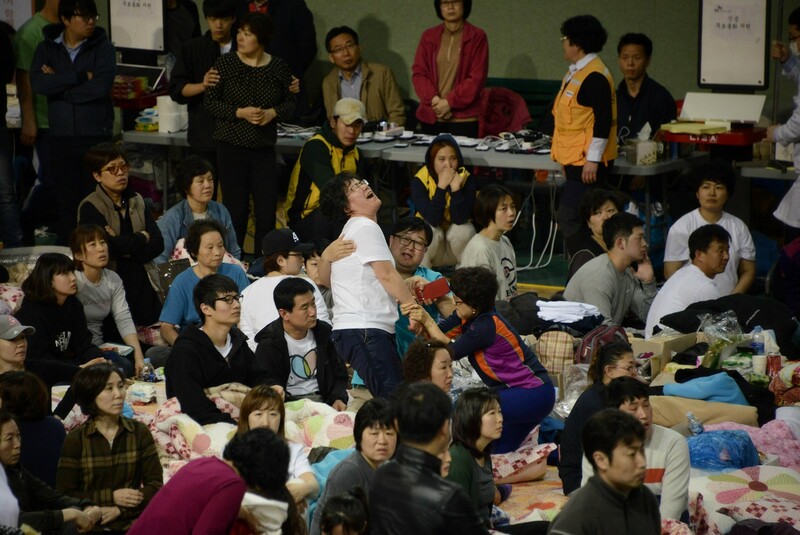 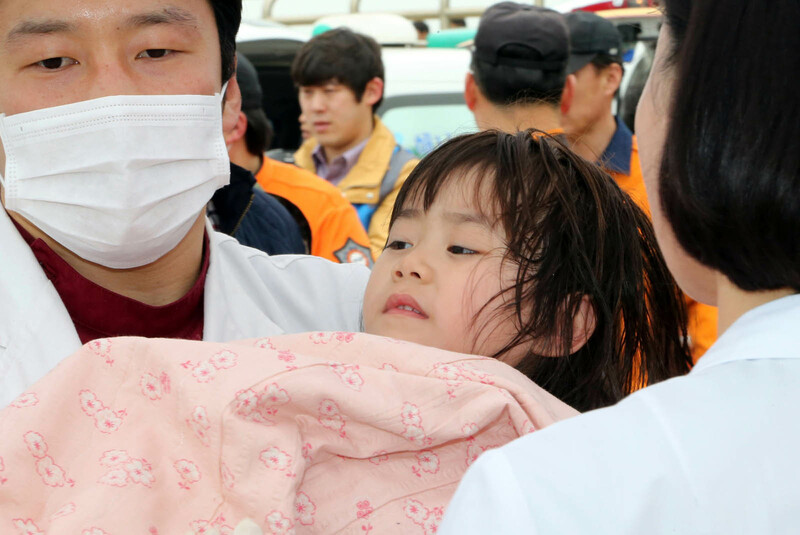 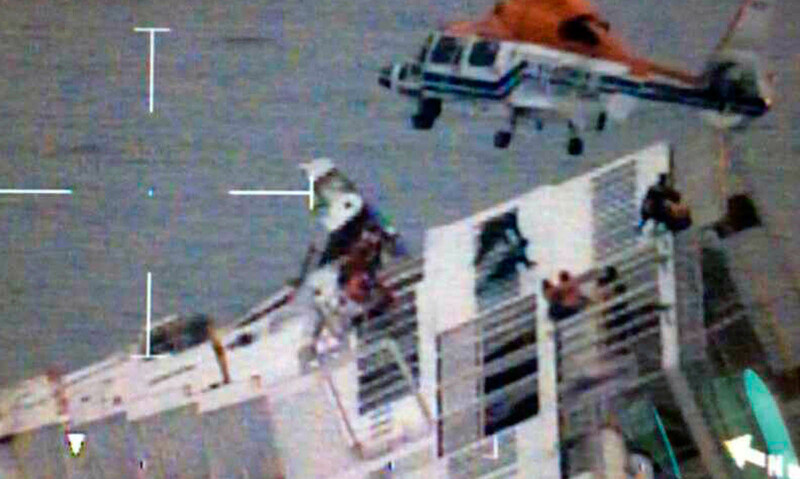 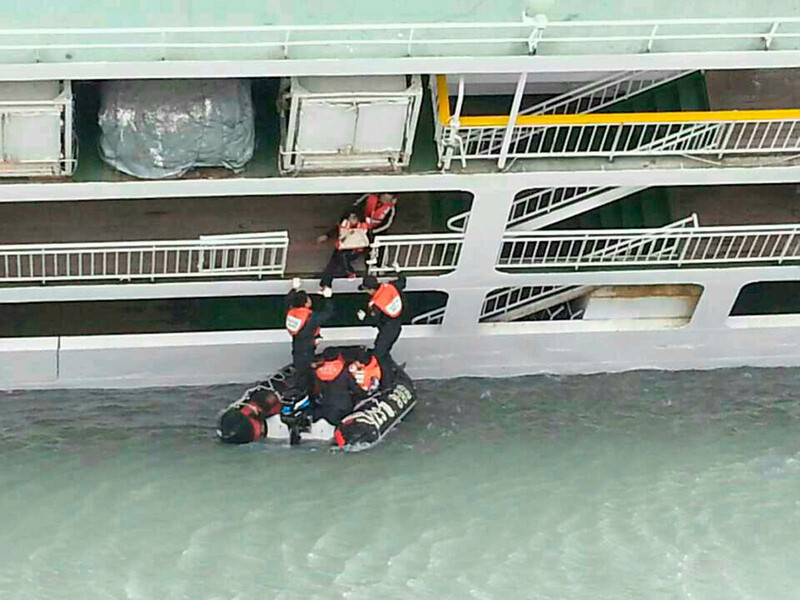 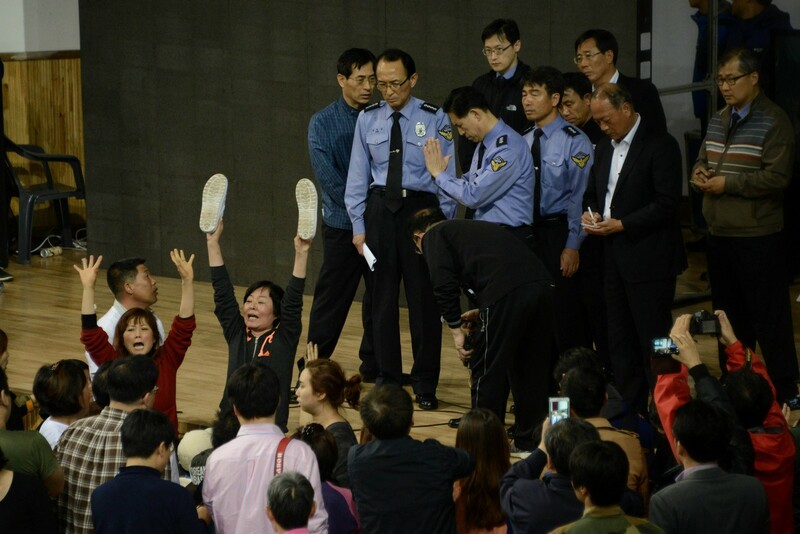 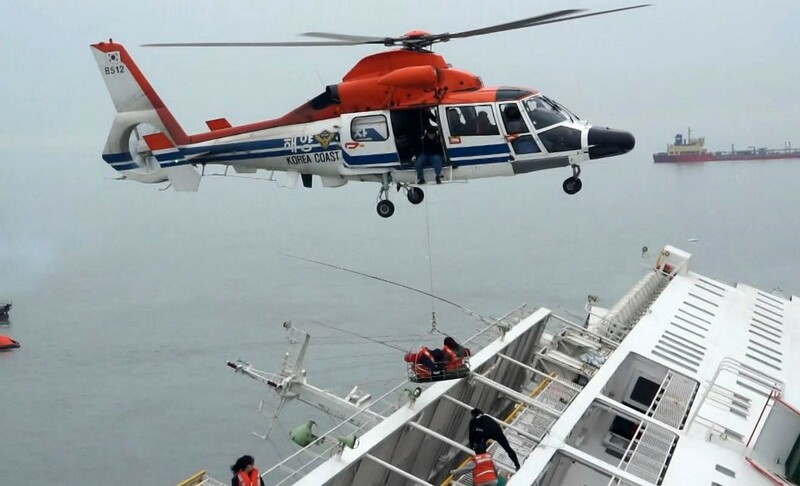 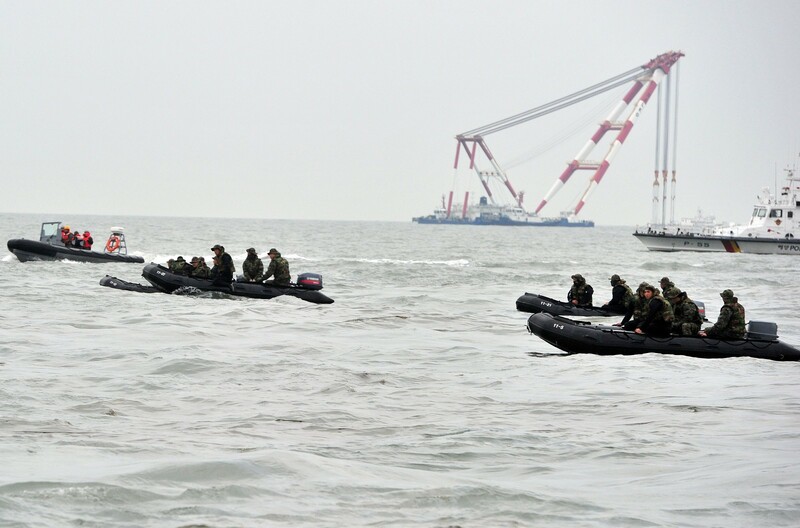 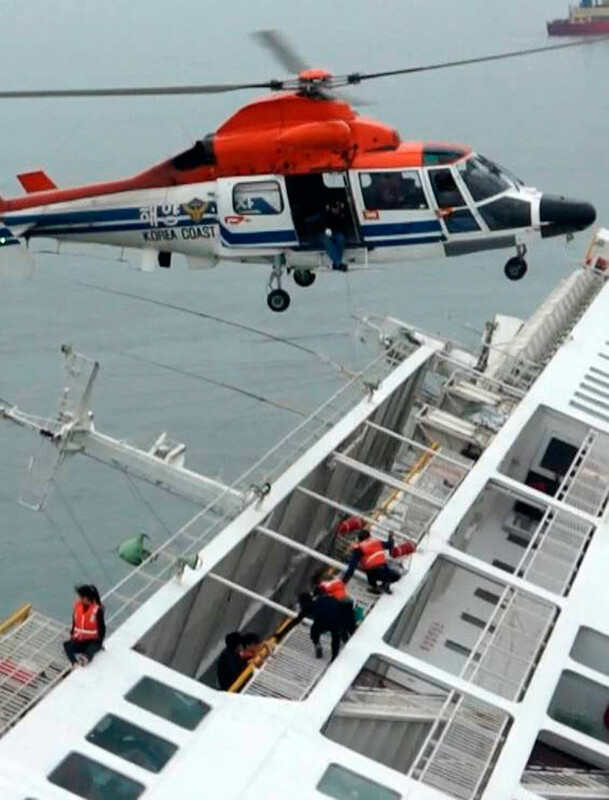 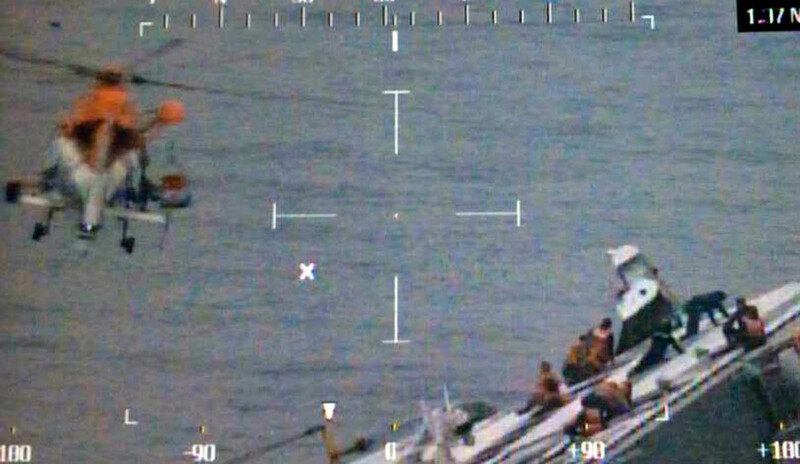 A maritime police helicopter rescues passengers who were onboard South Korean ferry "Sewol" which capsized off Jindo April 16, 2014 in this picture provided by West Regional Headquarters Korea Coast Guard and released by News1. 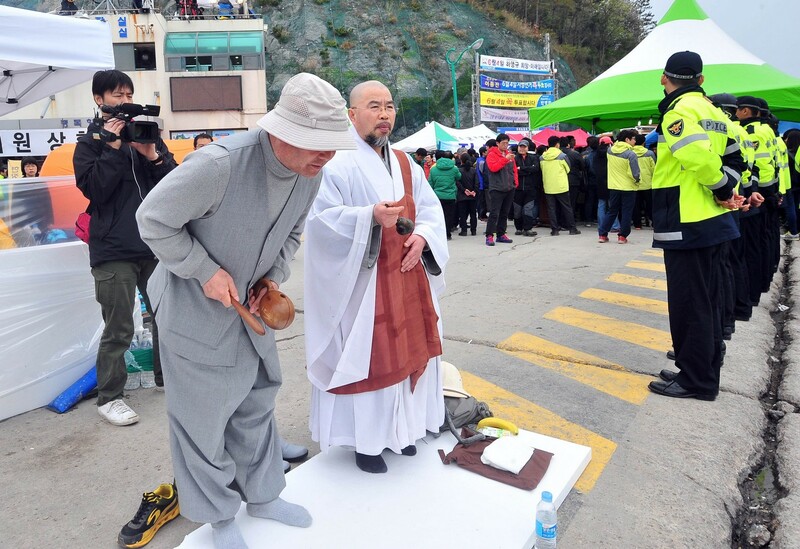 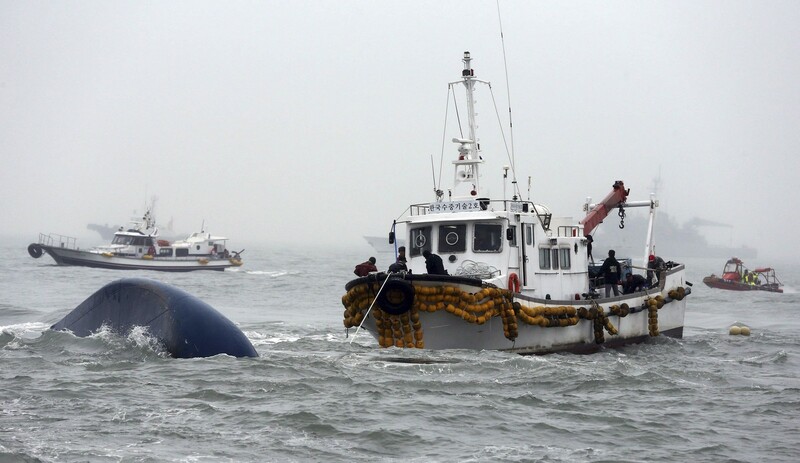 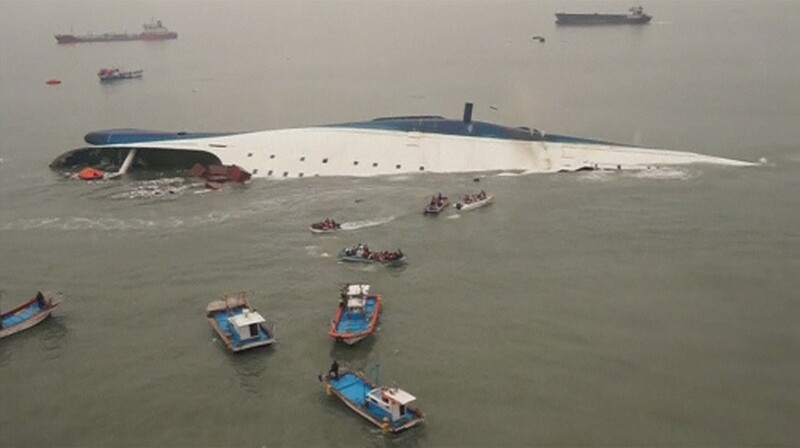 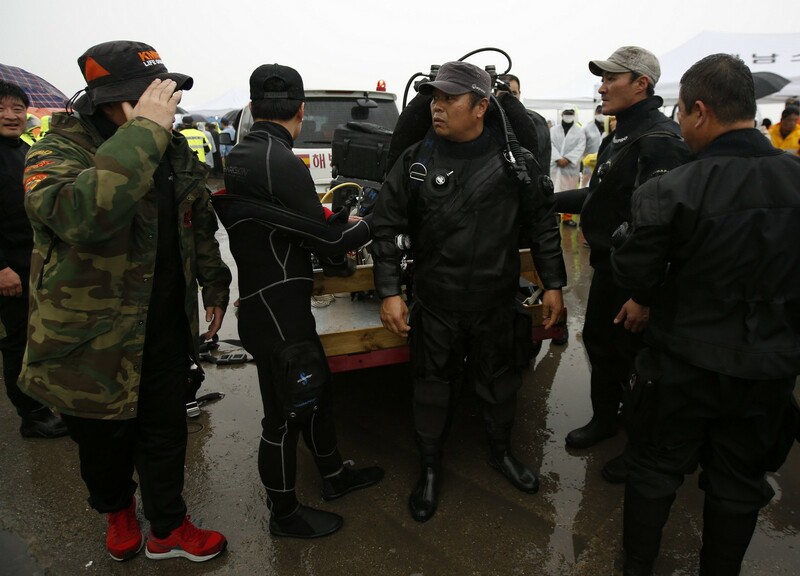 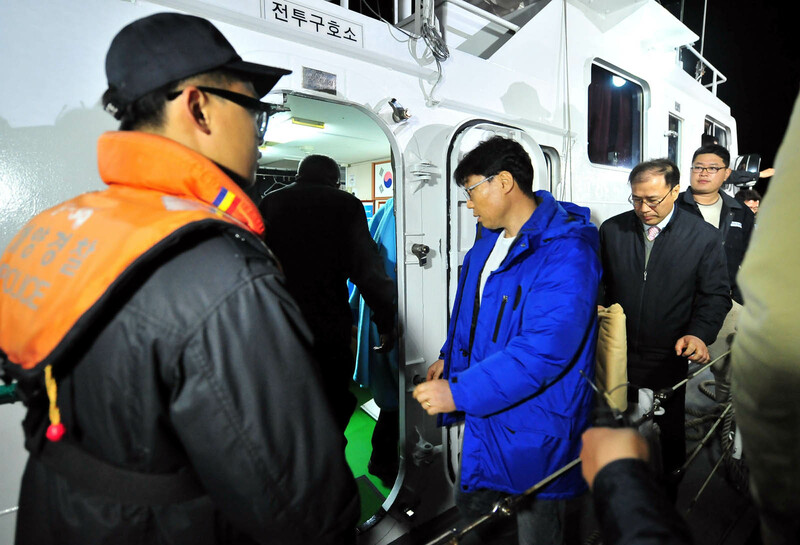 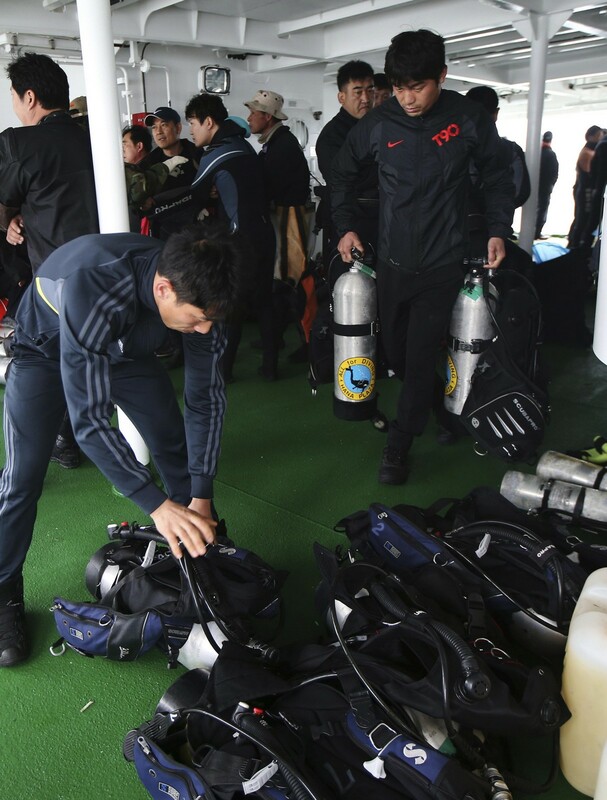 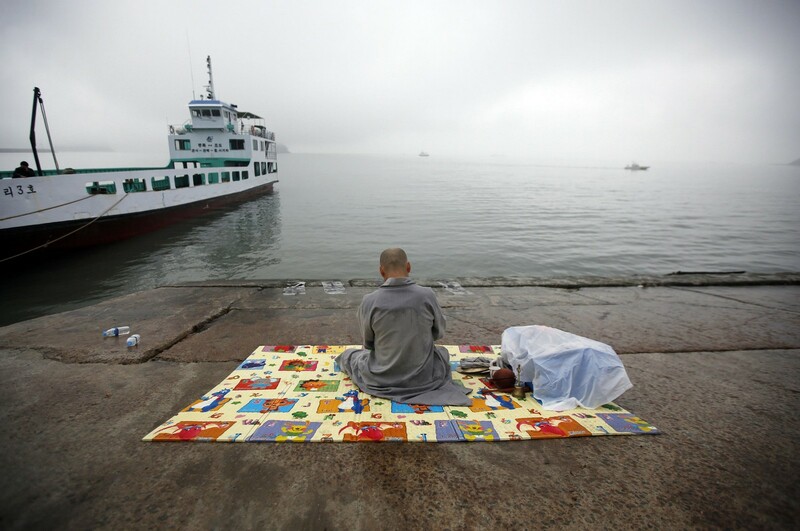 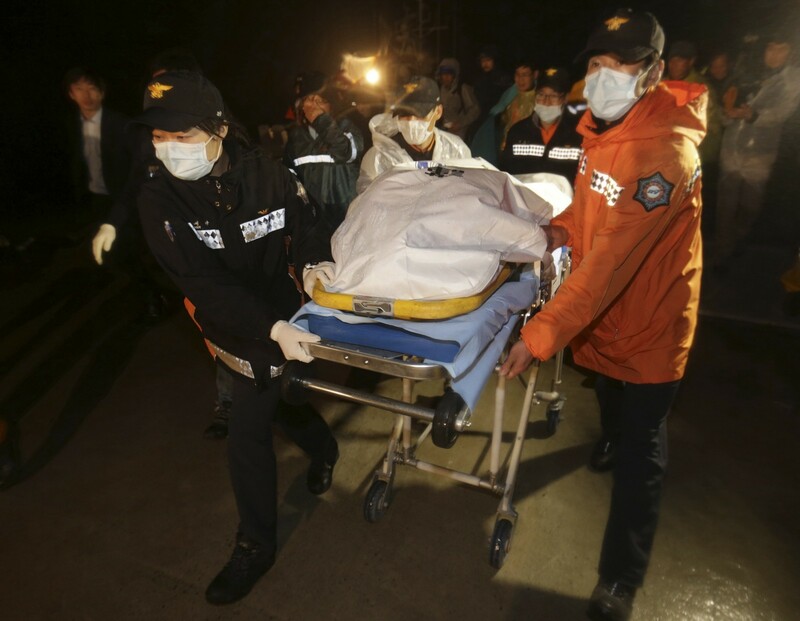 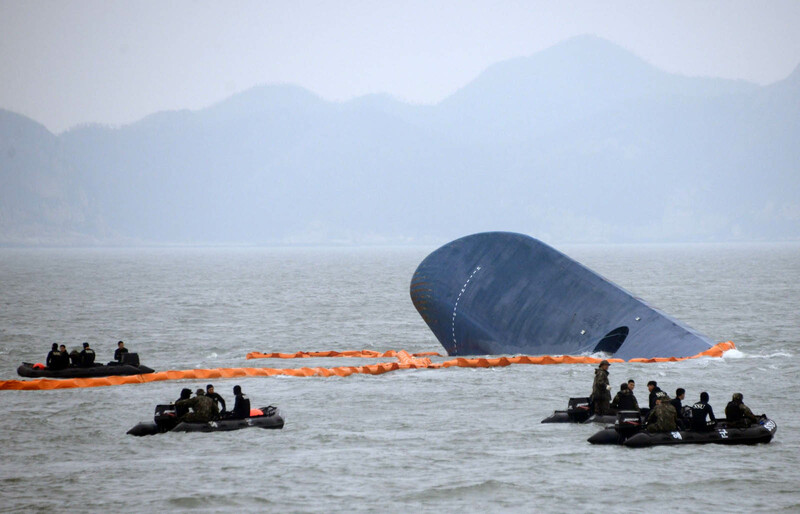 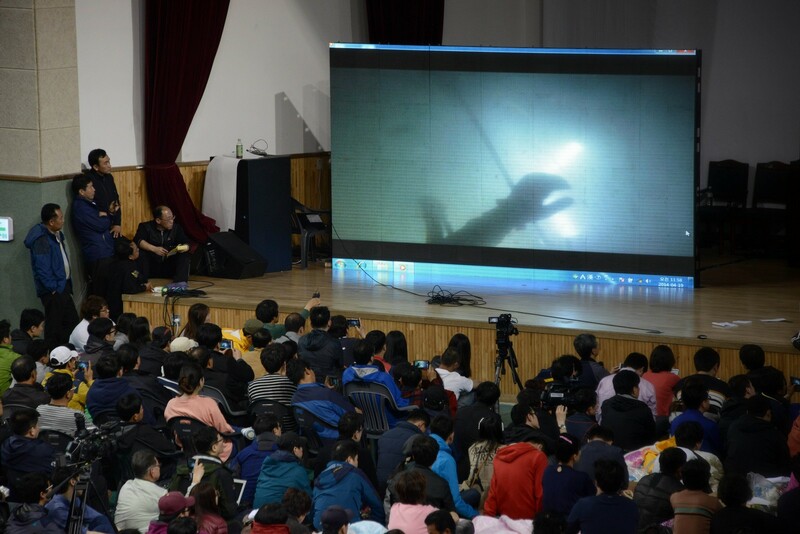 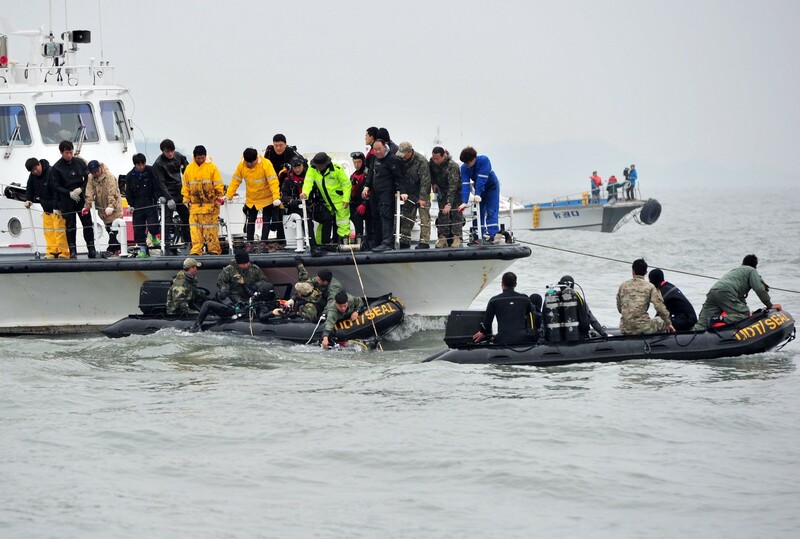 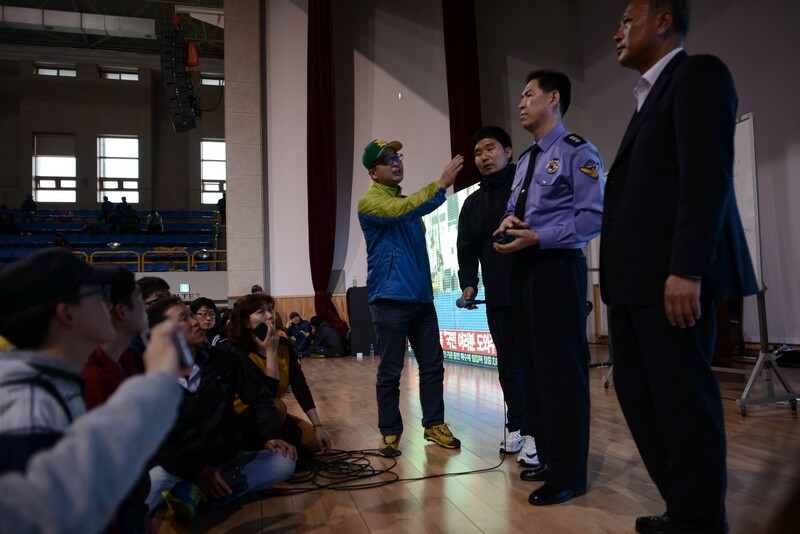 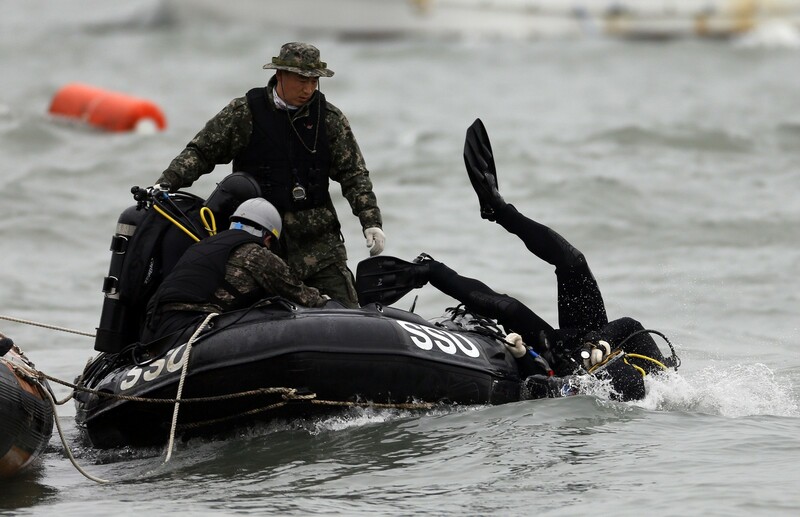 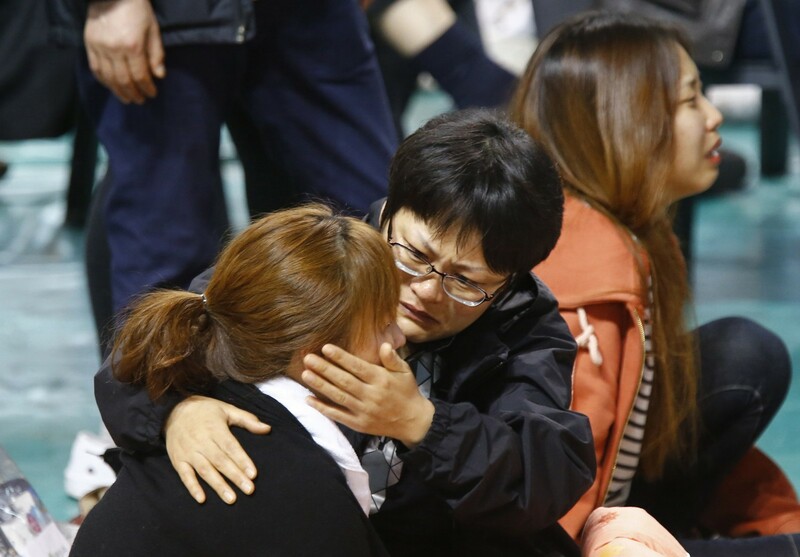 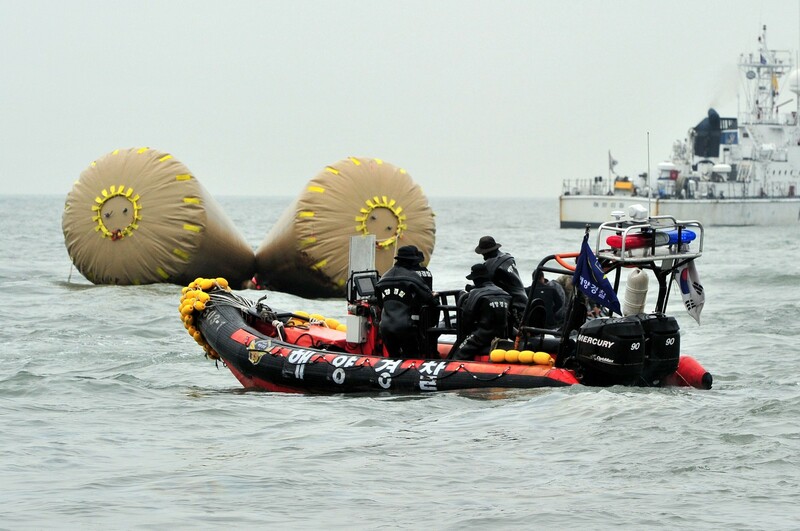 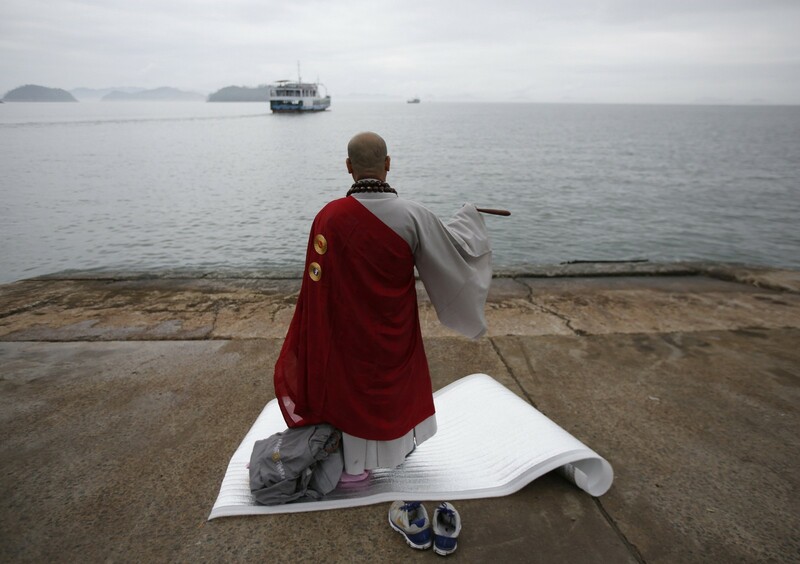 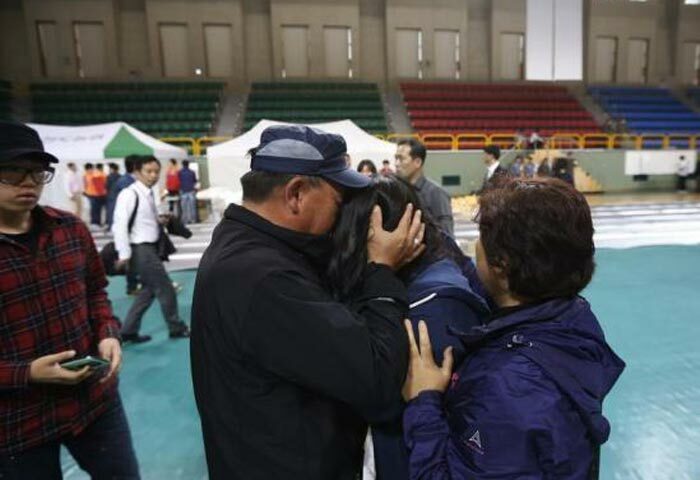 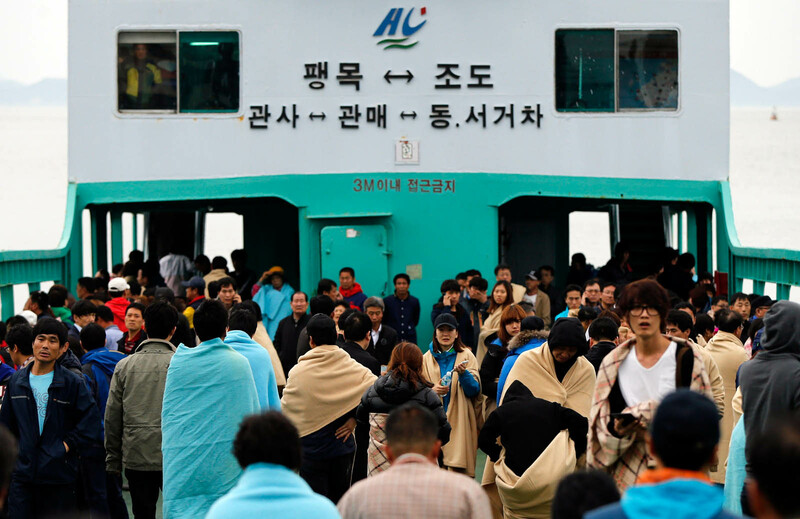 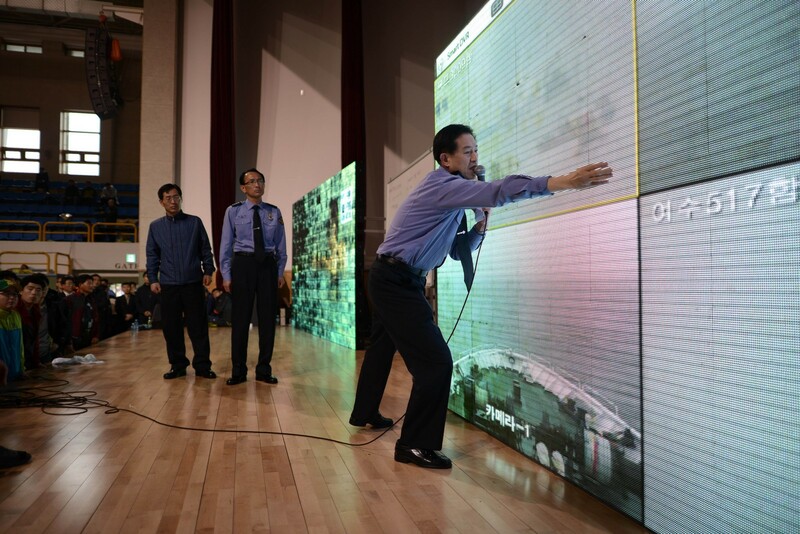 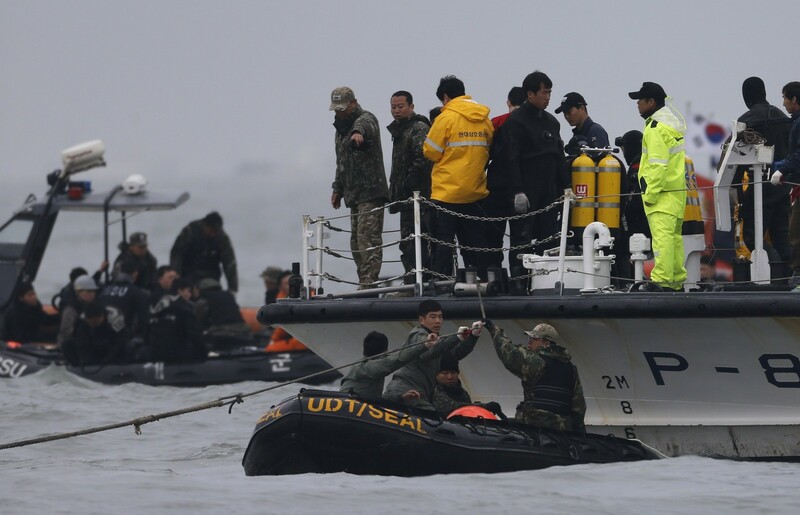 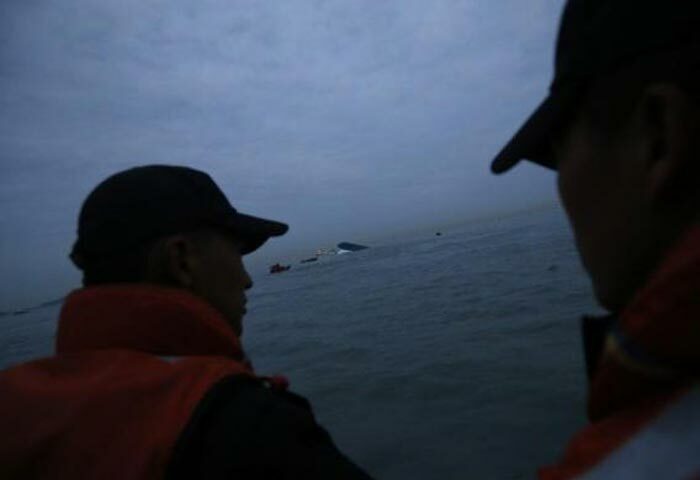 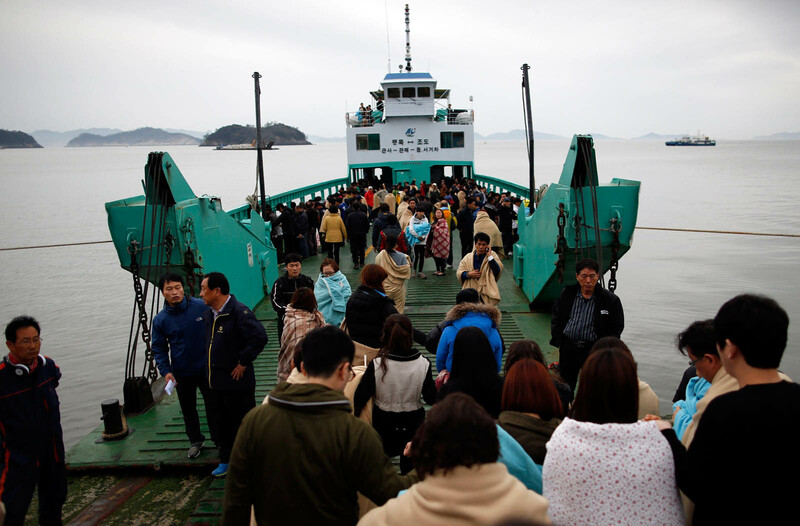 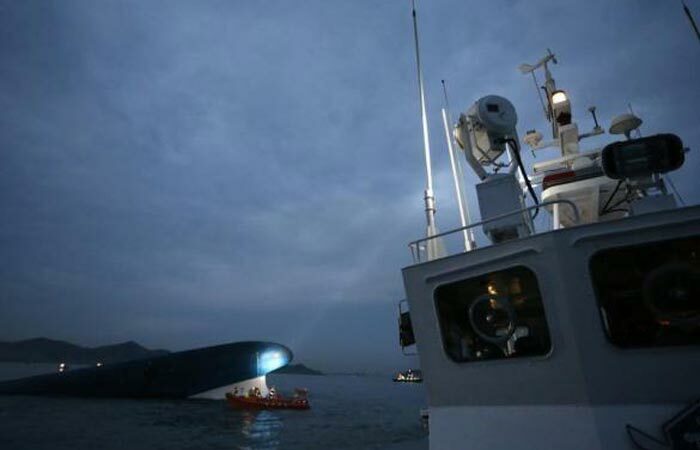 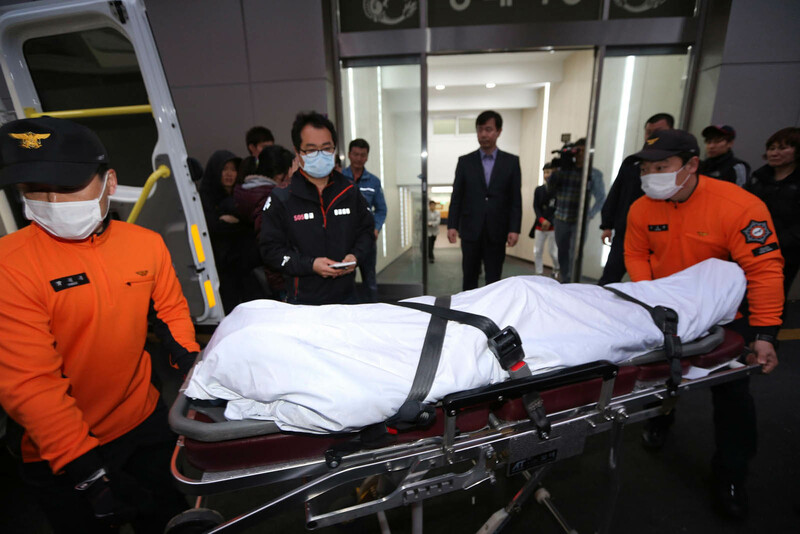 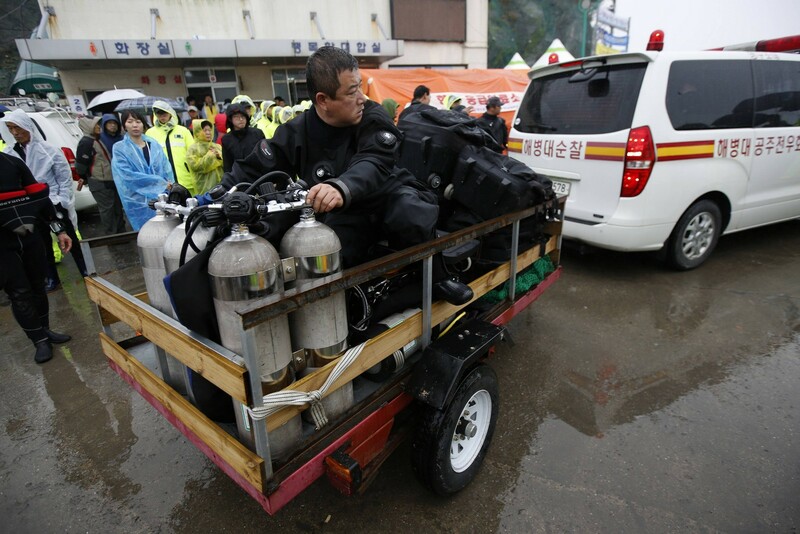 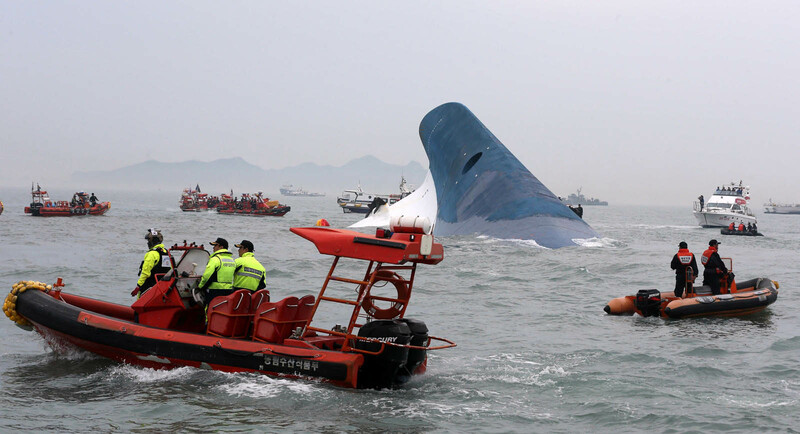 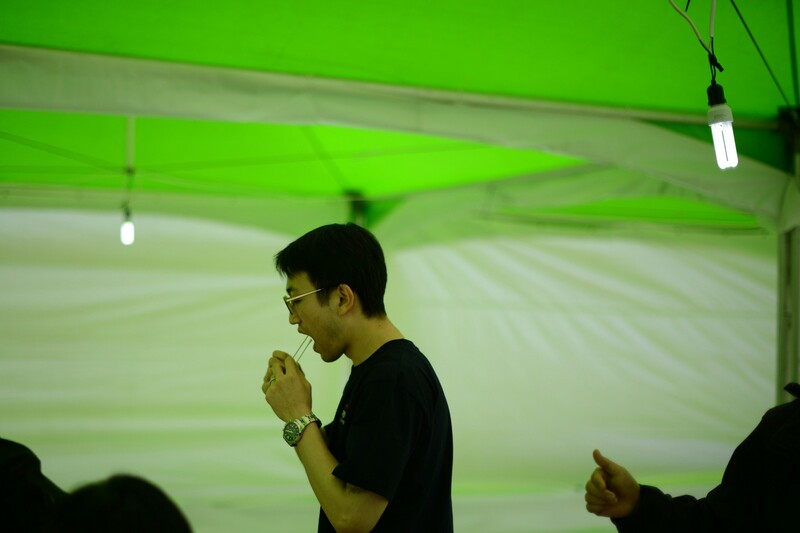 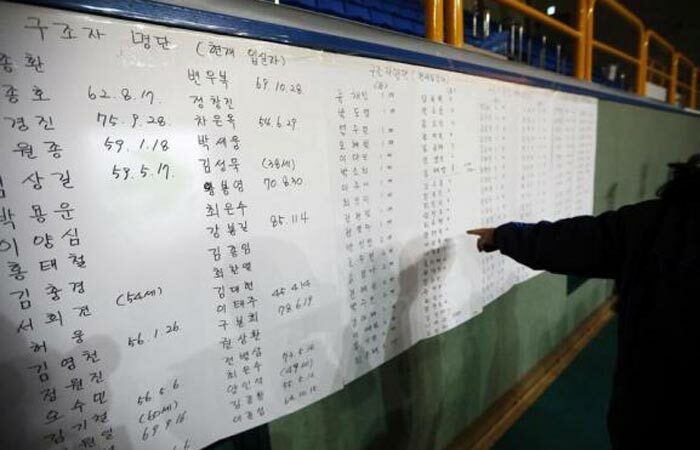 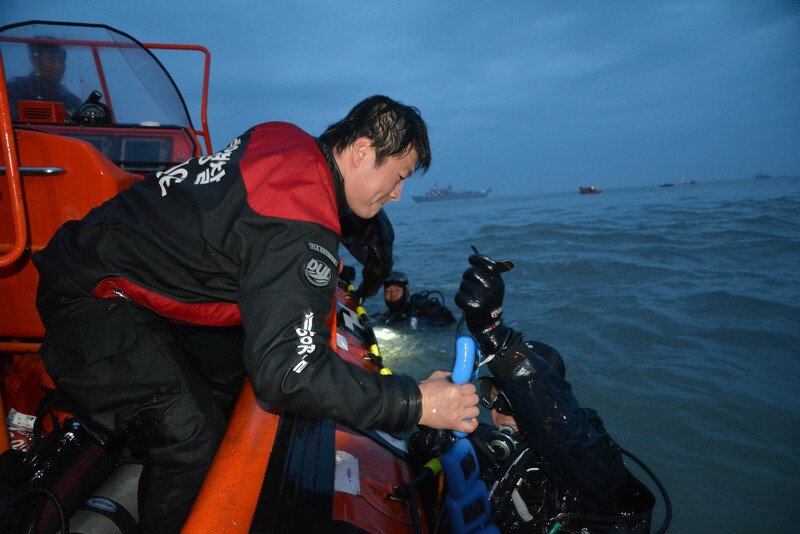 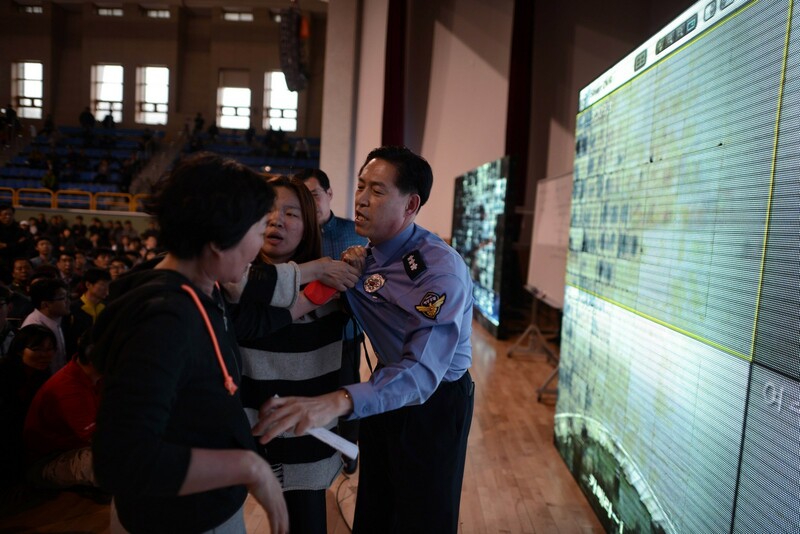 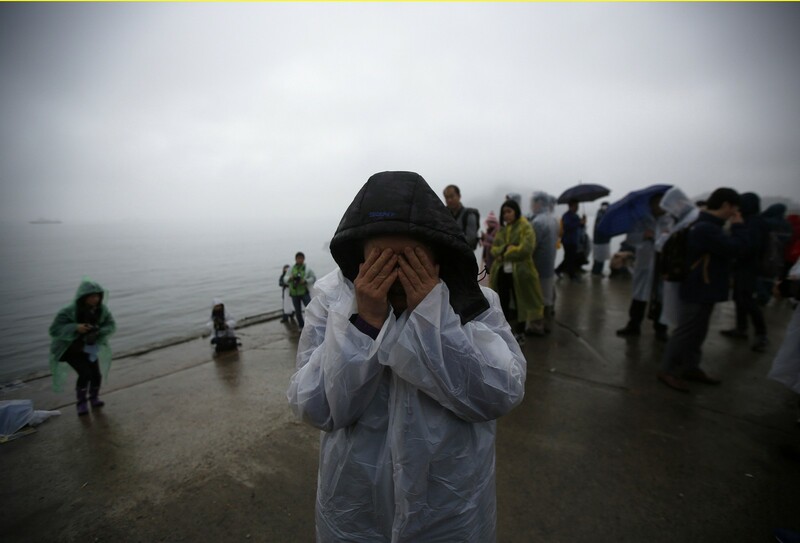 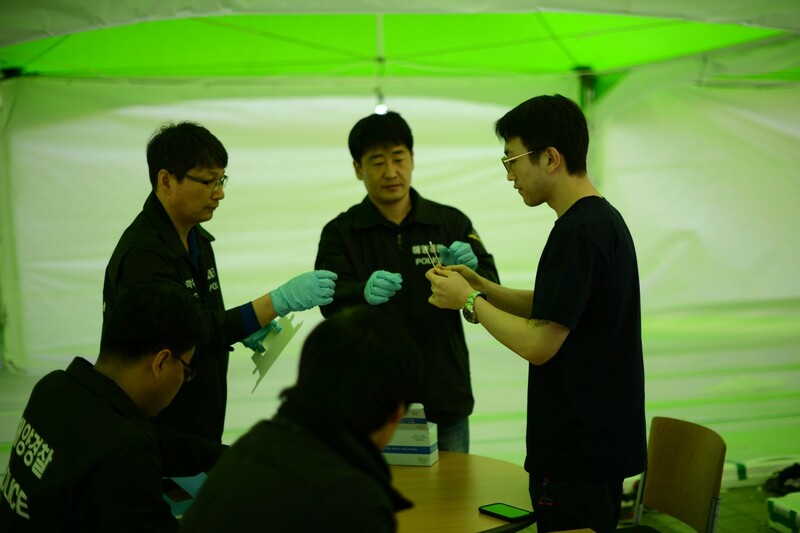 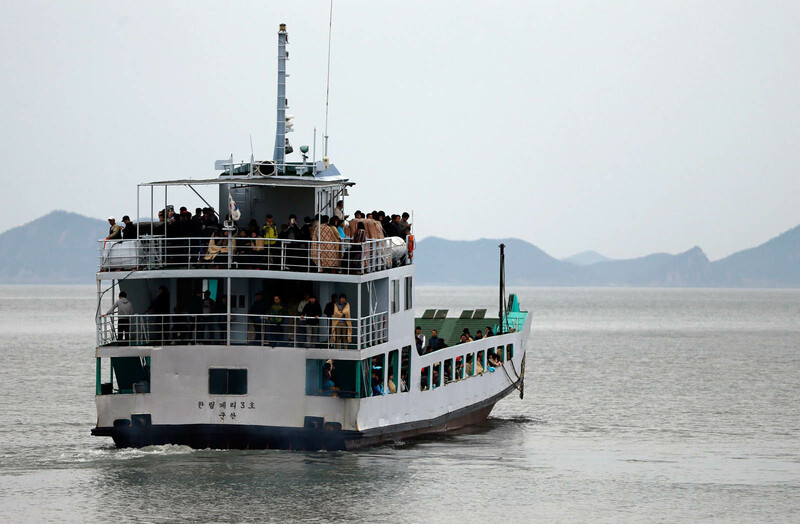 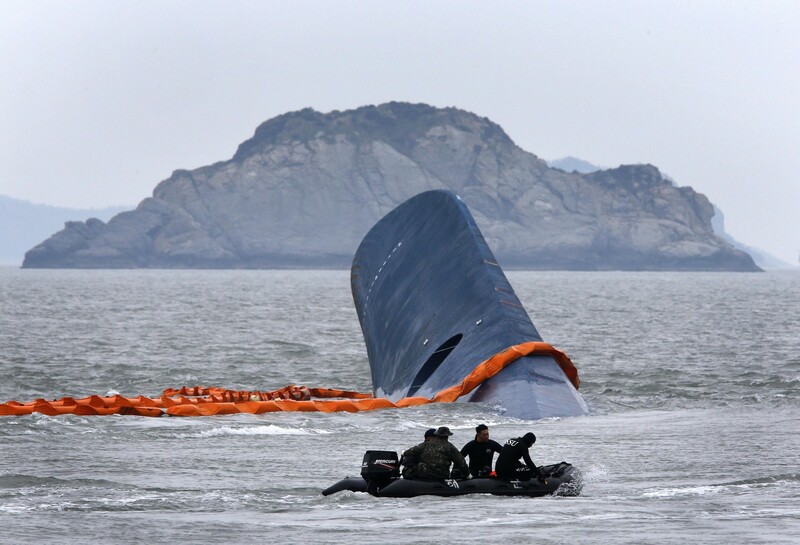 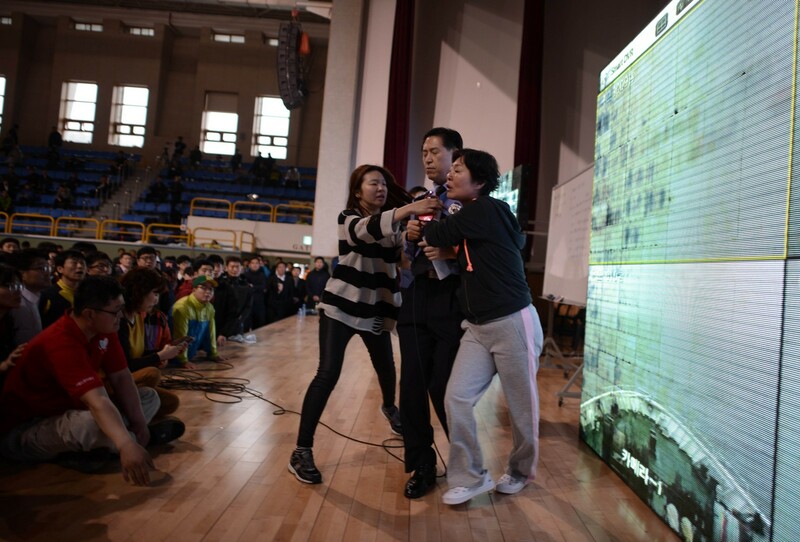 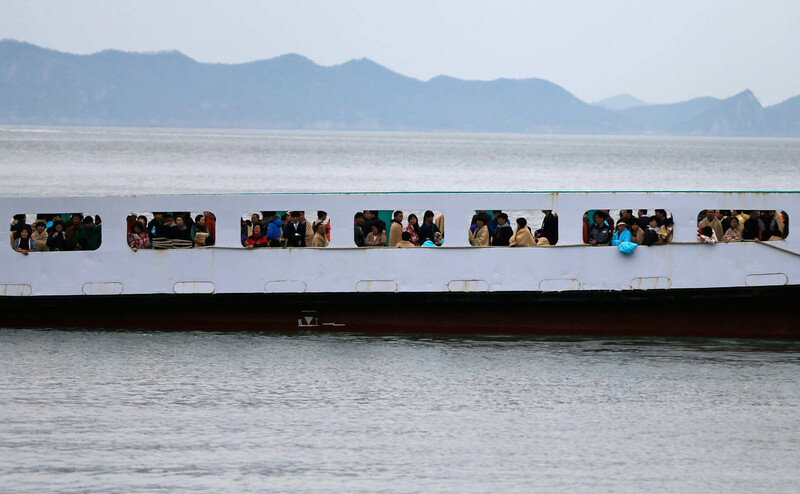 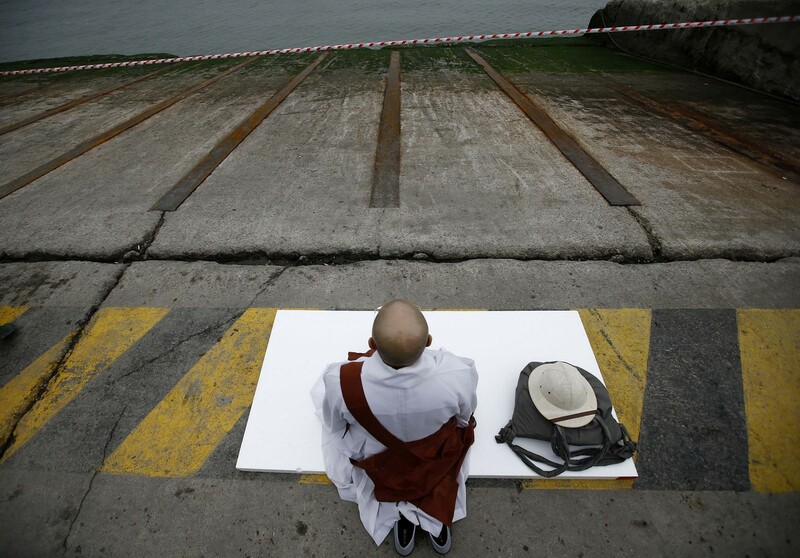 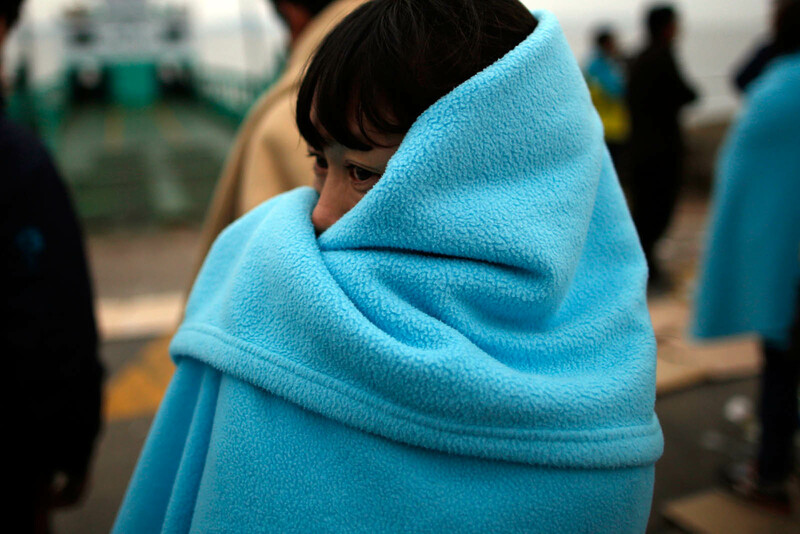 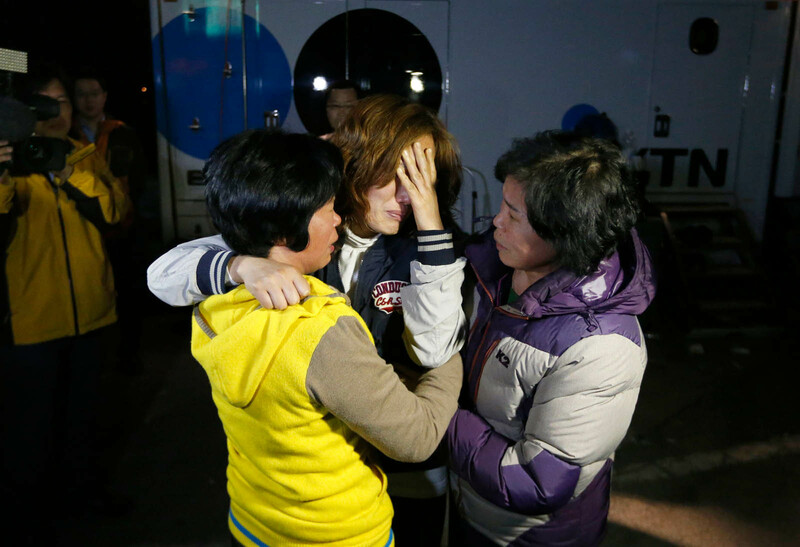 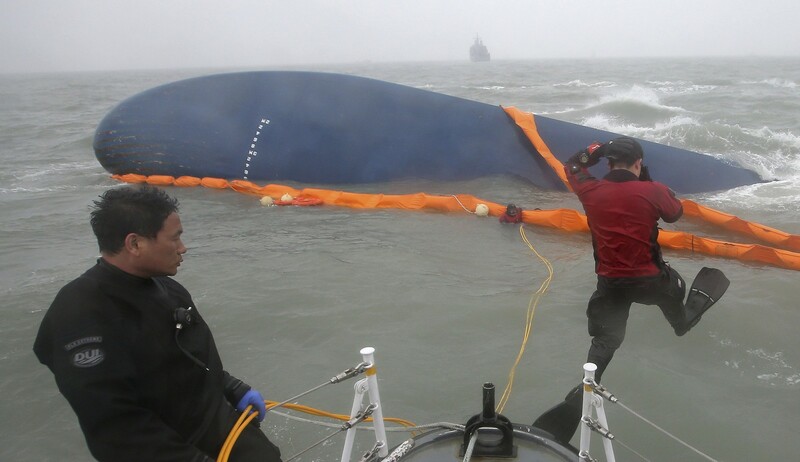 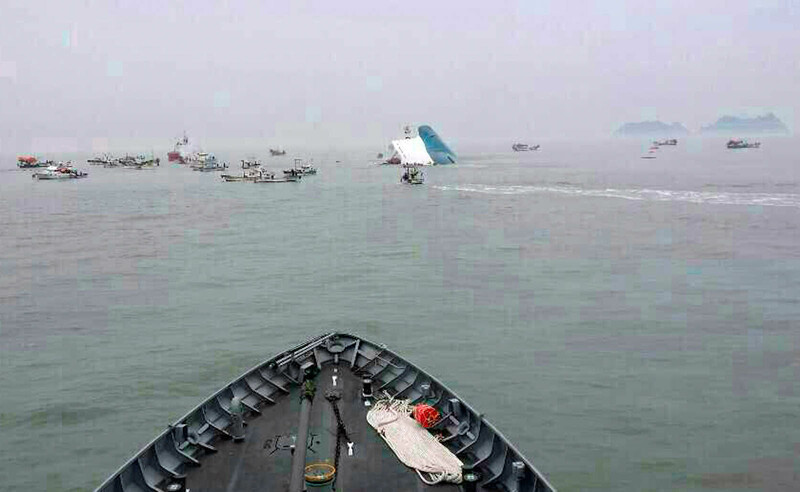 The sunken ferry Sewol deviated from the Ministry of Oceans and Fisheries-recommended route, the Coast Guard said Thursday. 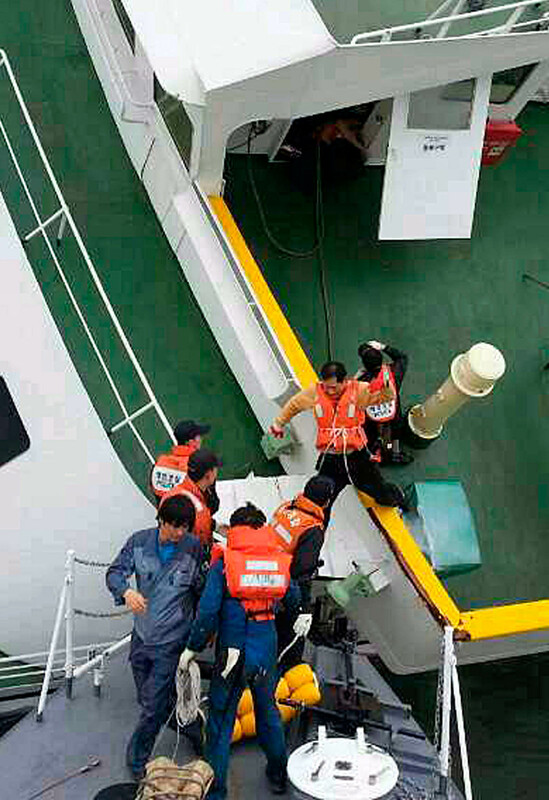 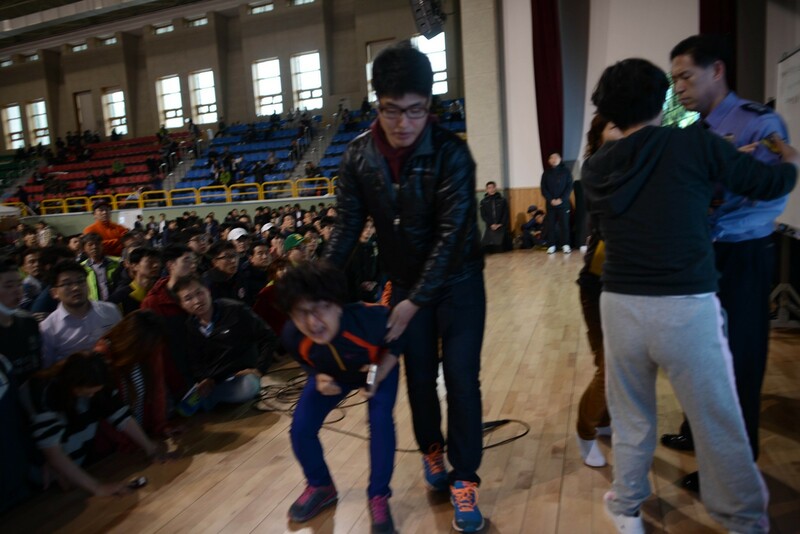 In addition, speculation has risen that steering too sharply was the cause of the accident. 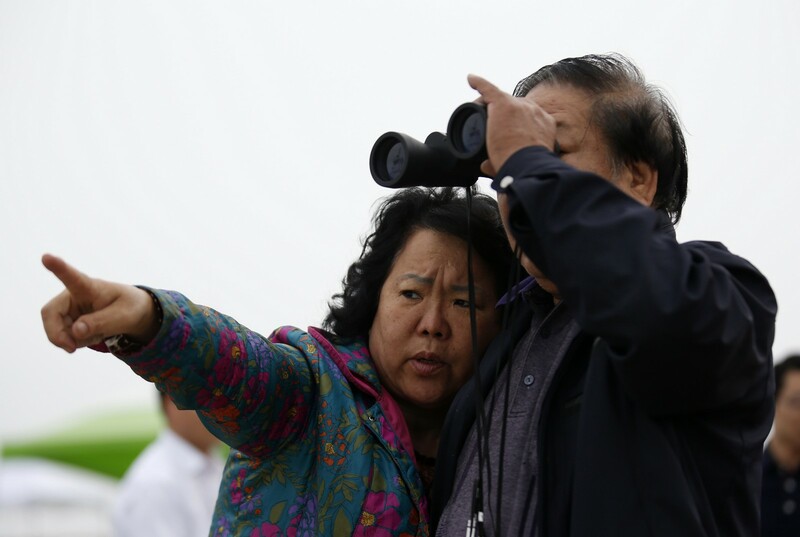 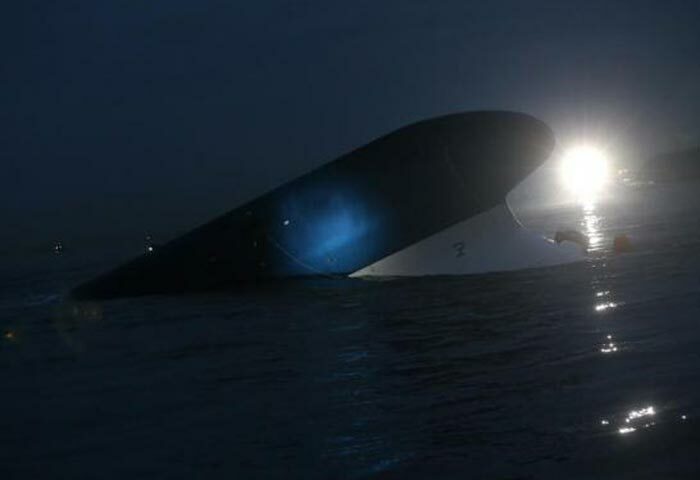 According to reports, the Coast Guard investigators suspect that the ship changed directly too quickly, causing cargo to come loose and push the vessel off balance. 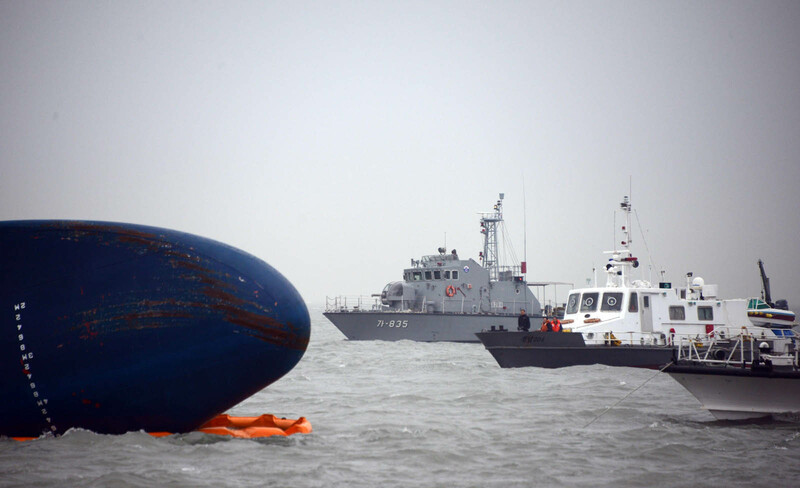 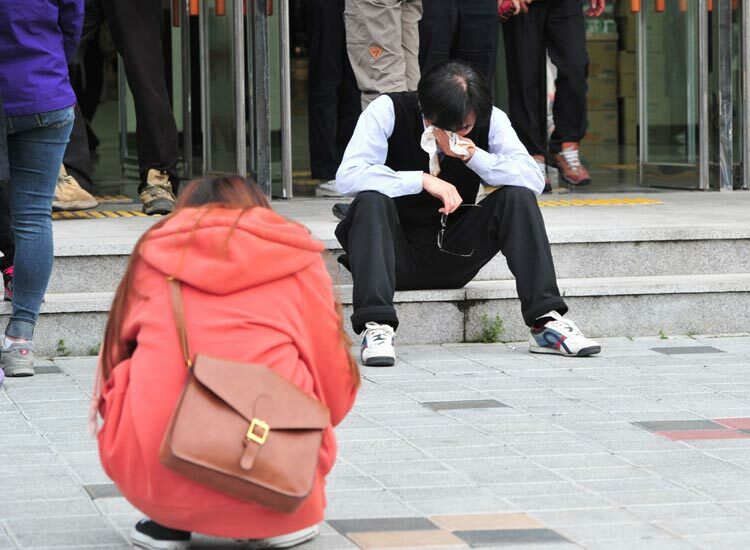 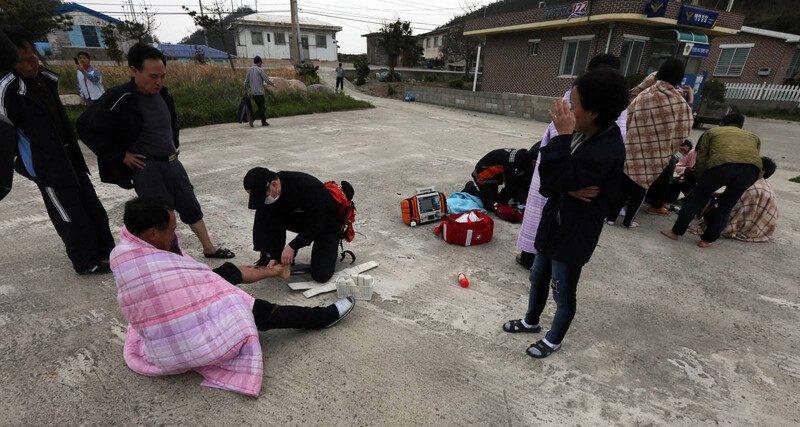 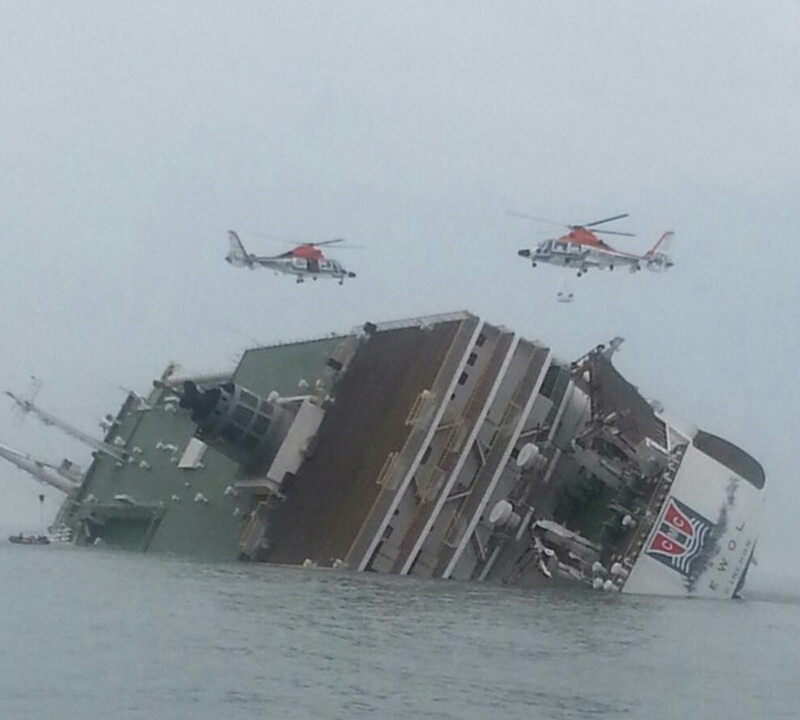 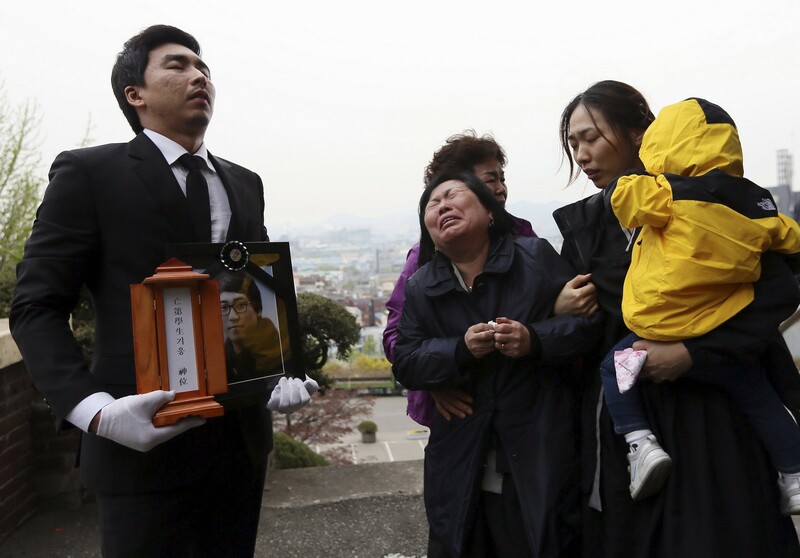 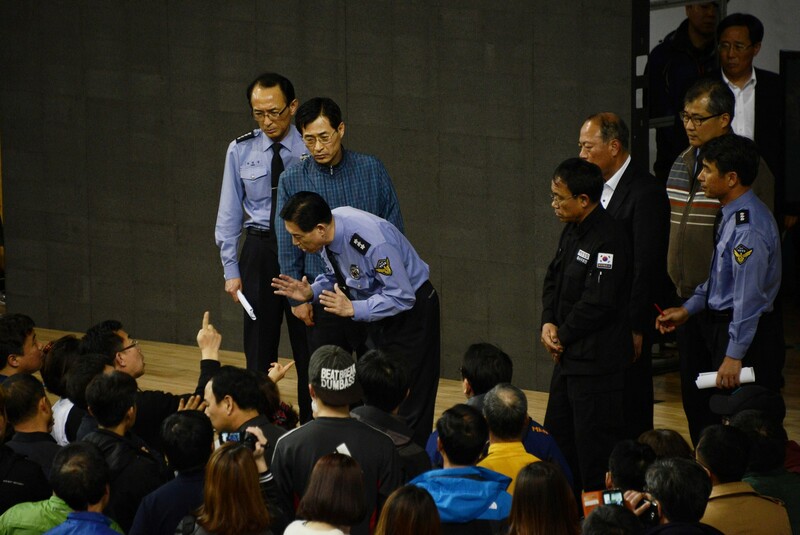 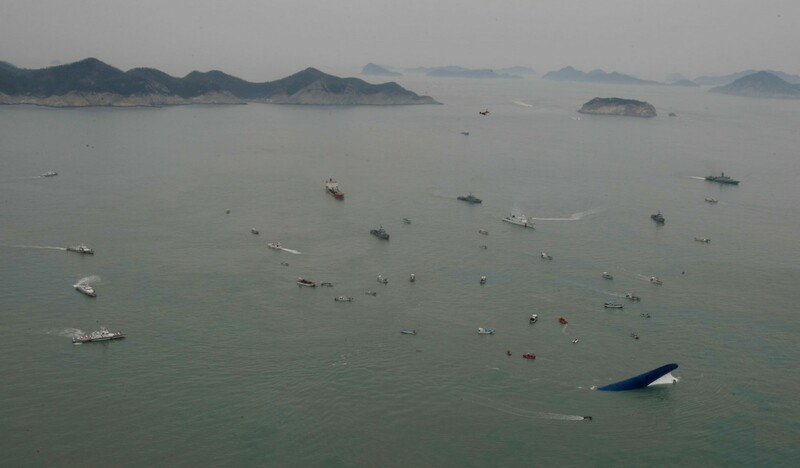 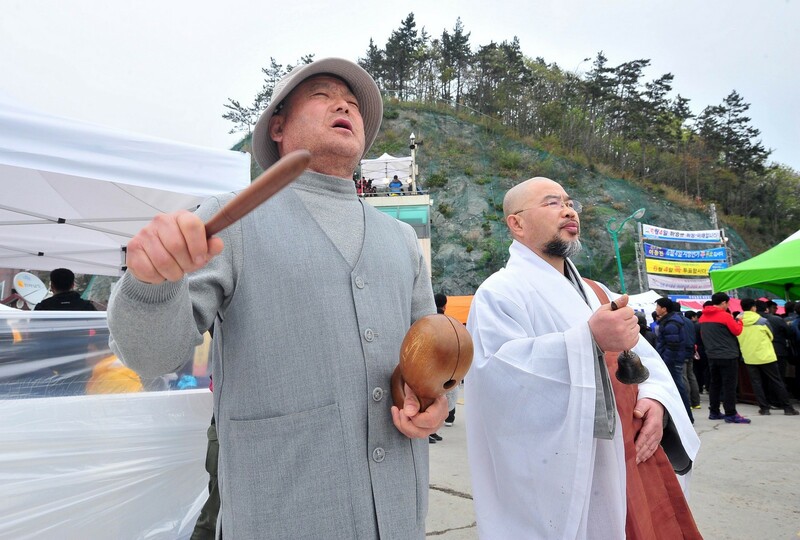 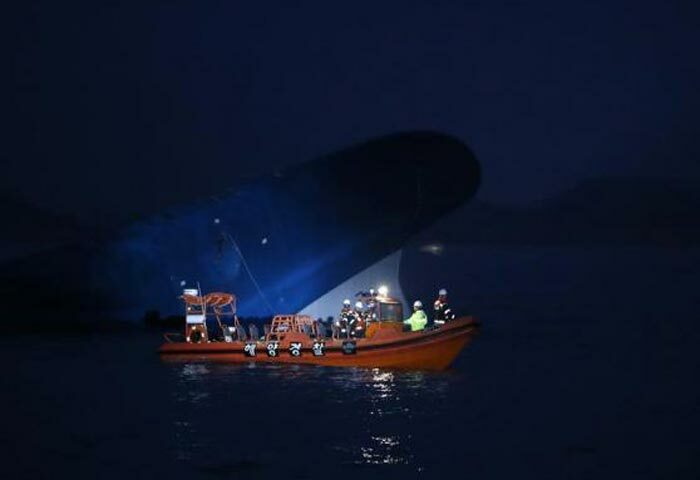 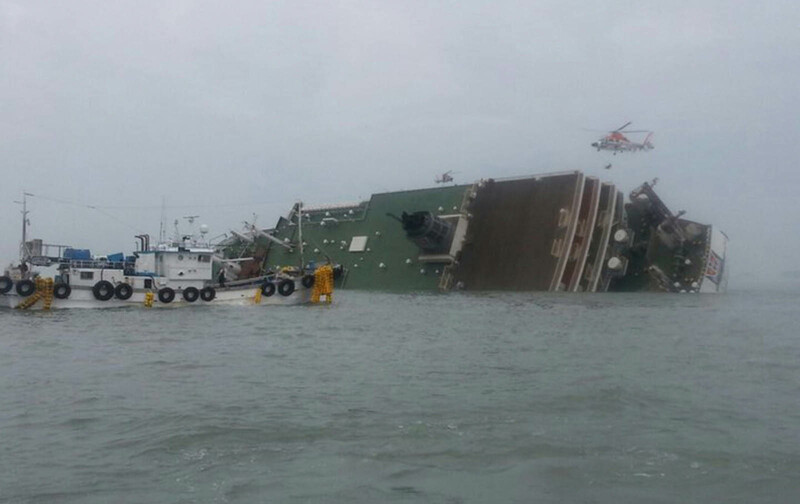 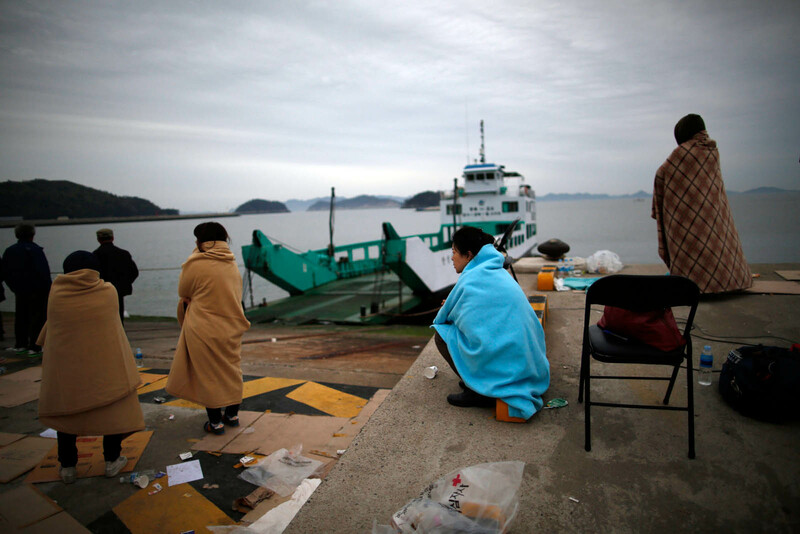 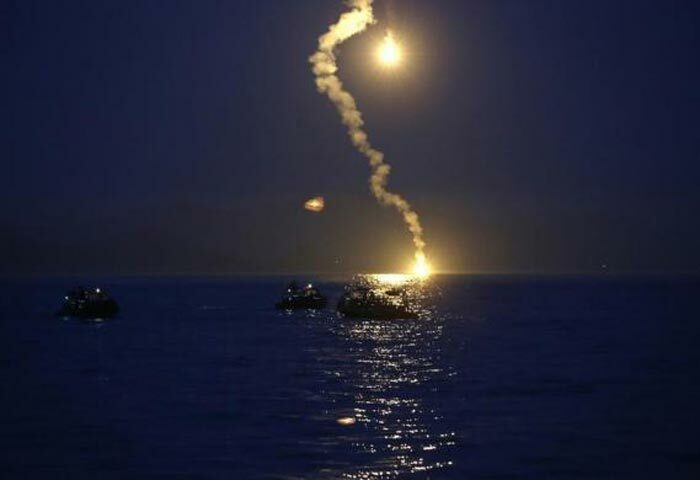 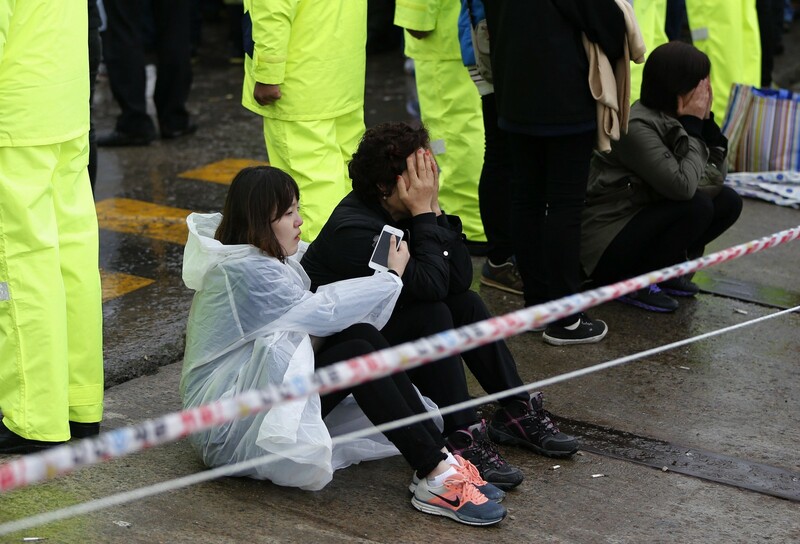 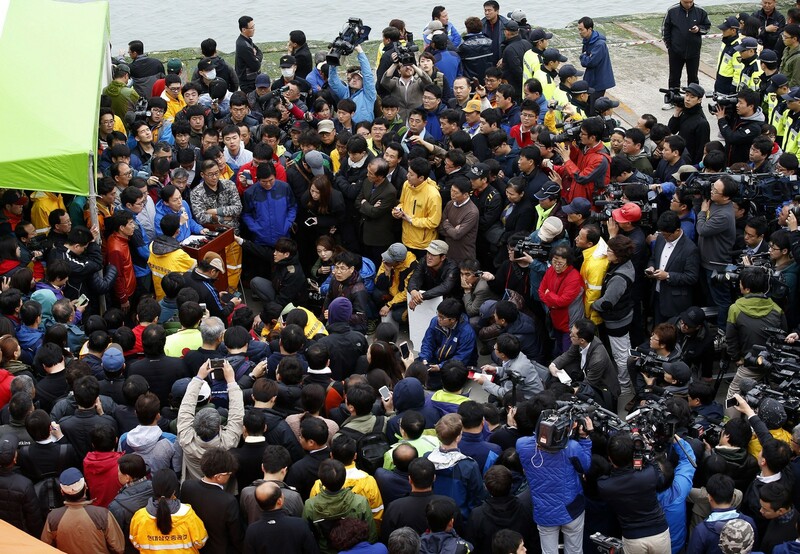 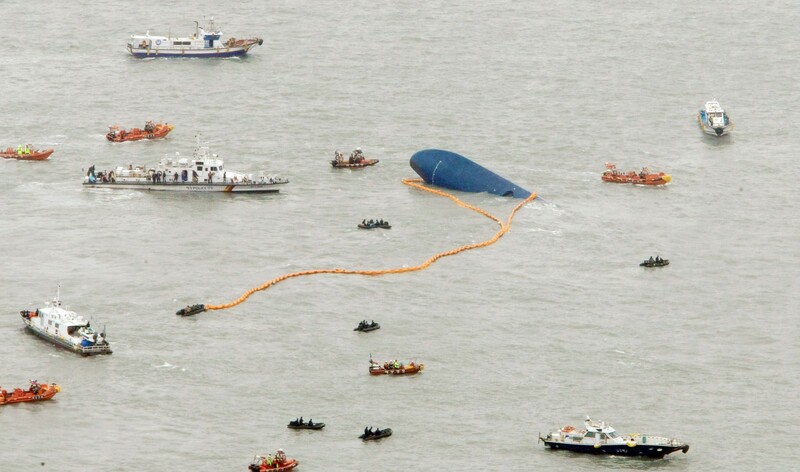 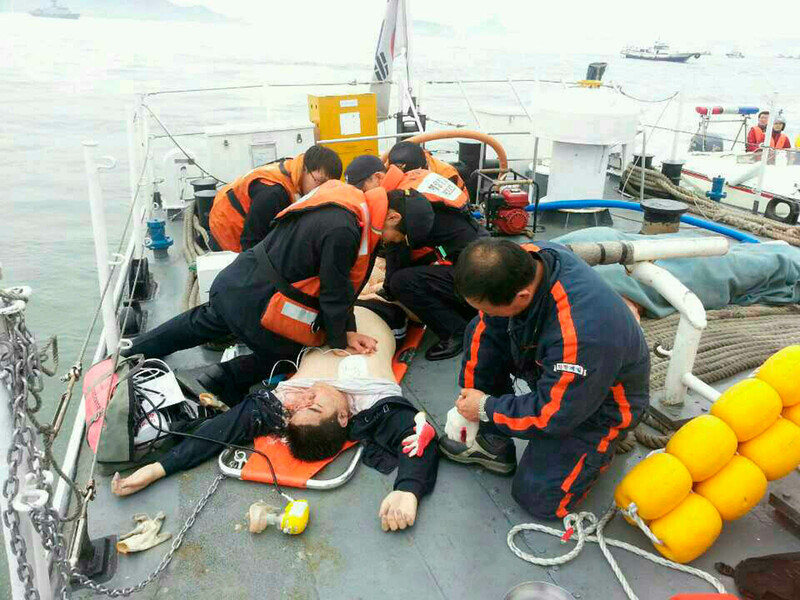 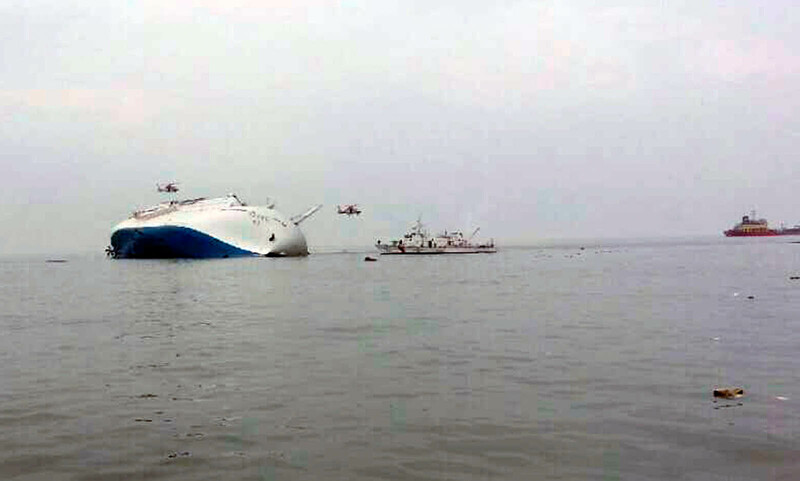 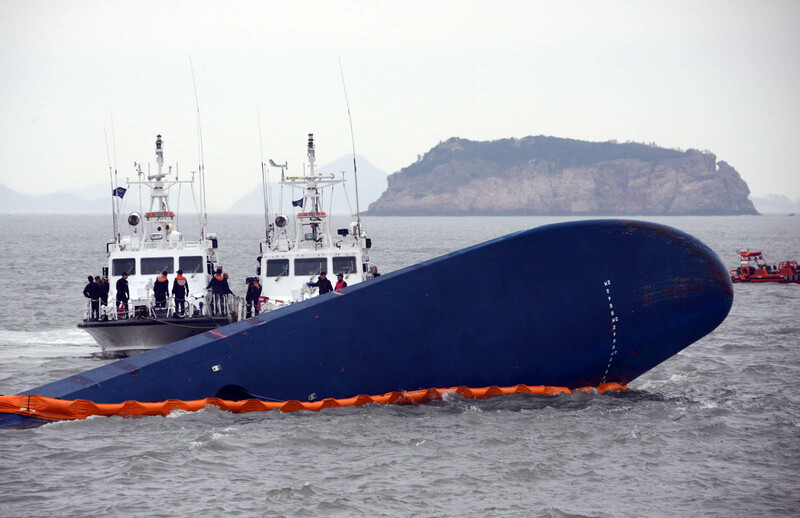 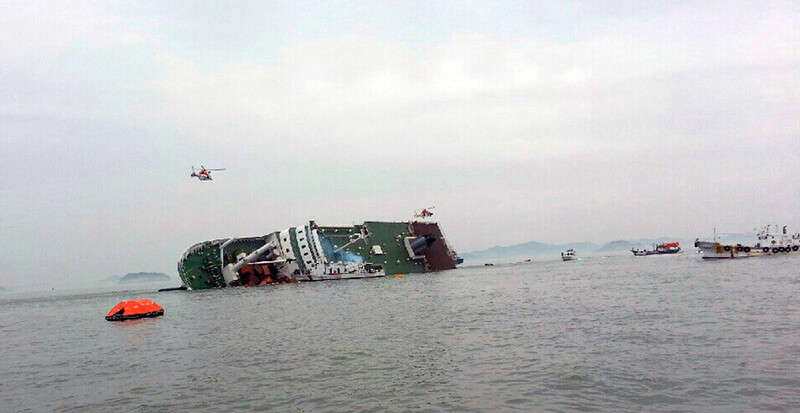 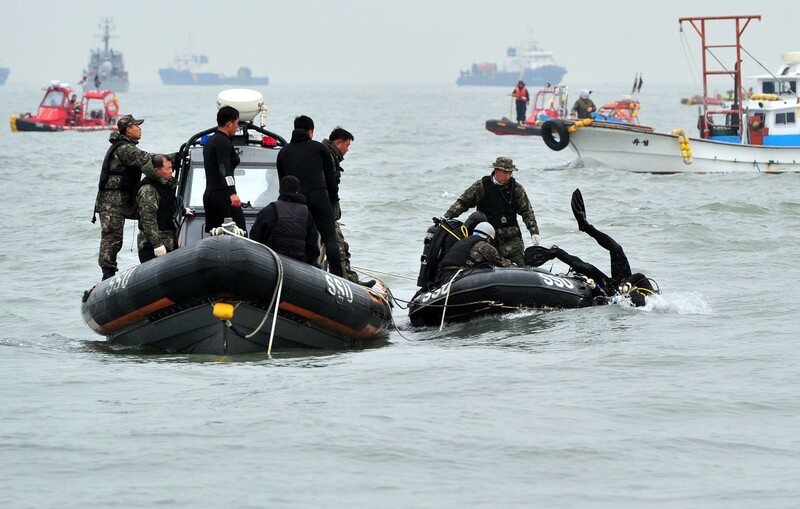 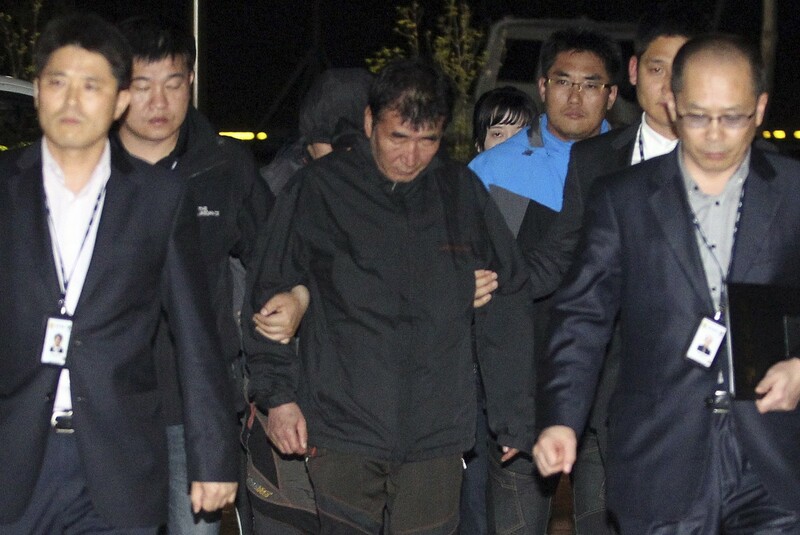 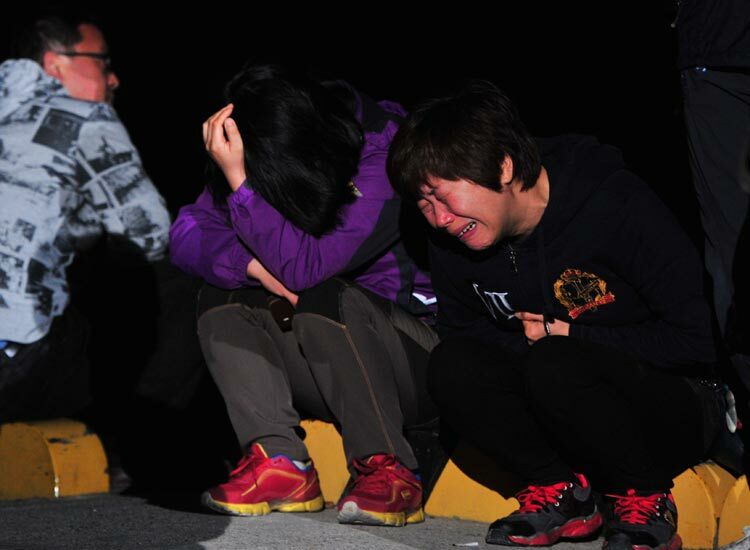 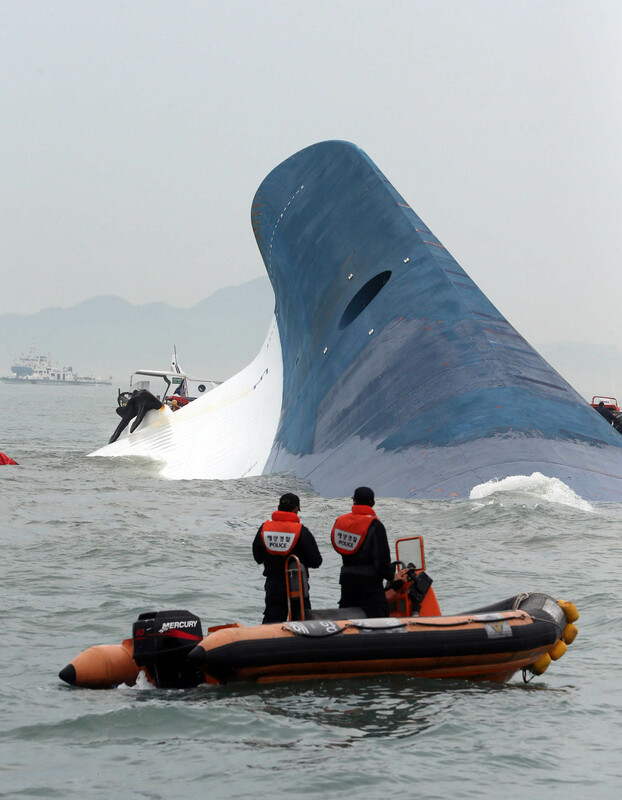 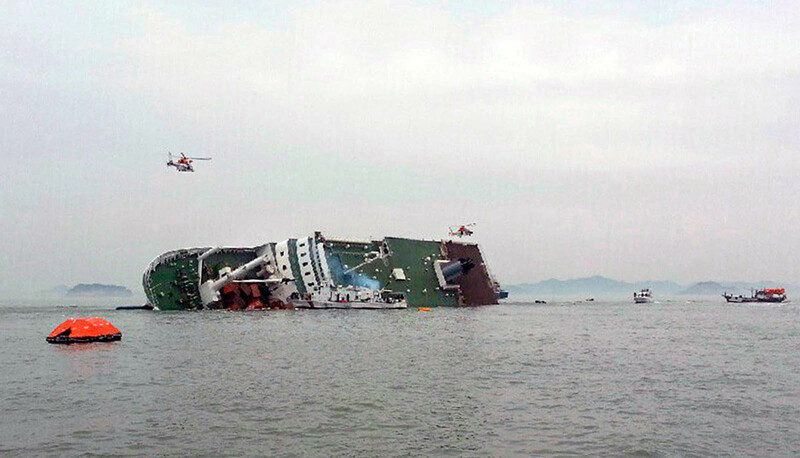 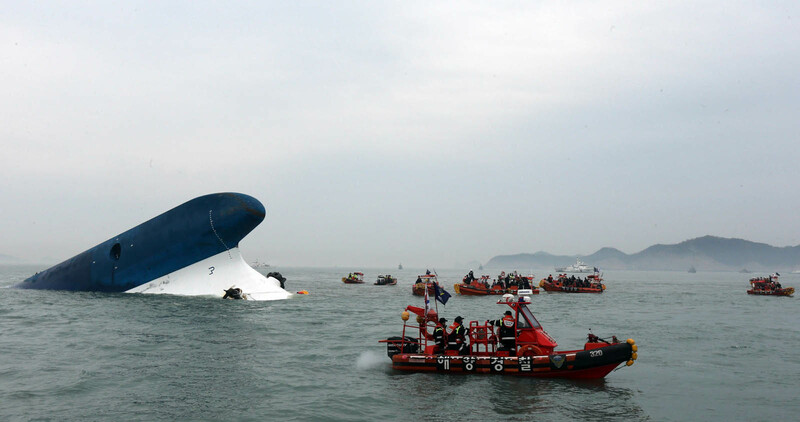 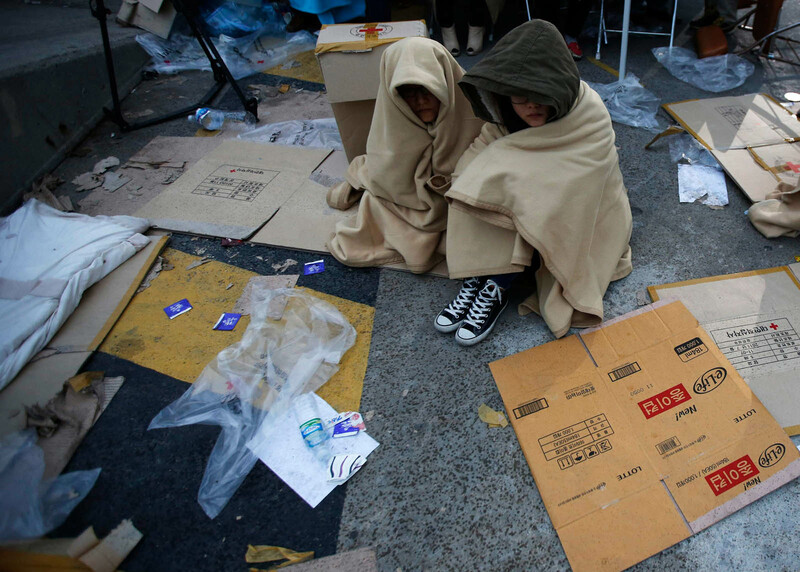 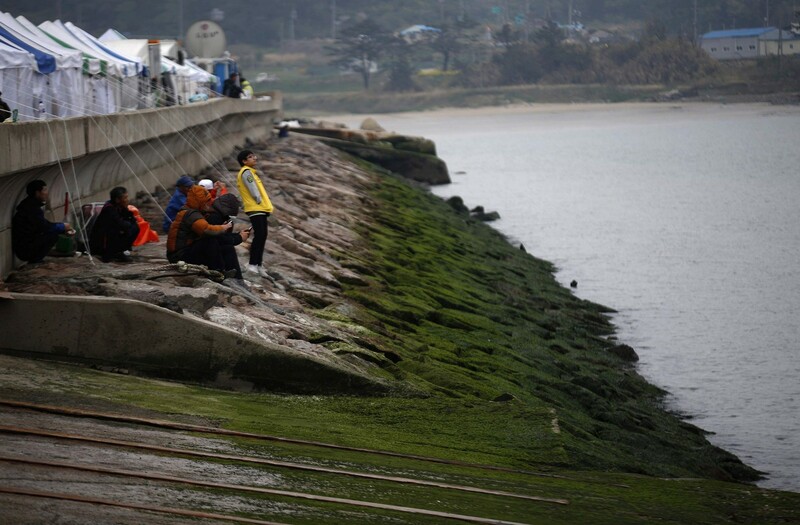 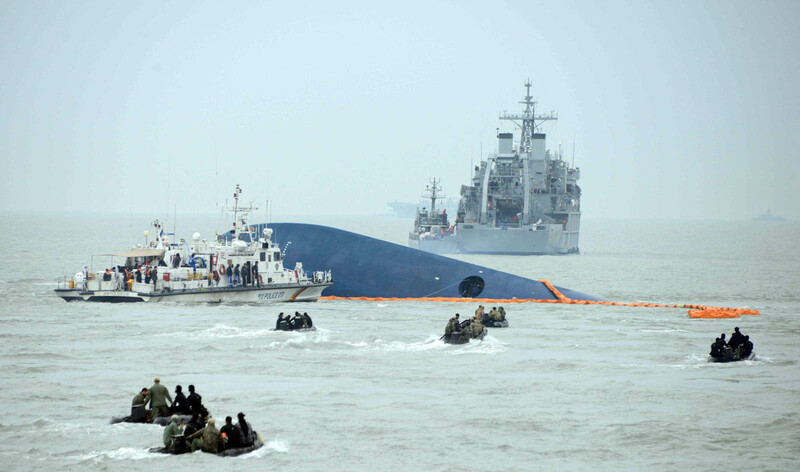 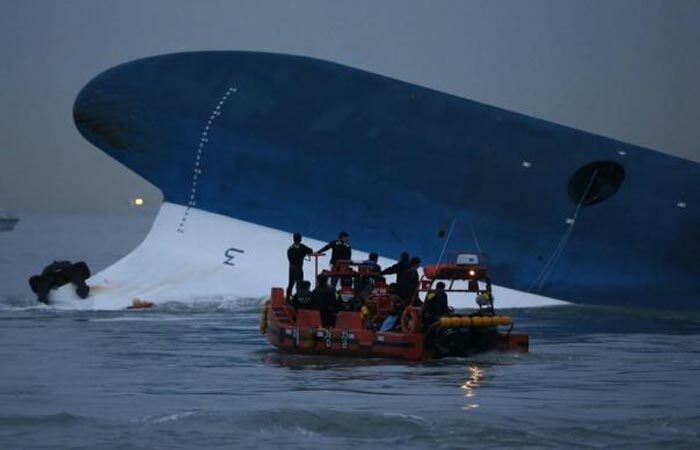 The site of the accident is said to be near the point where ships on the Incheon-Jejudo route change directions. 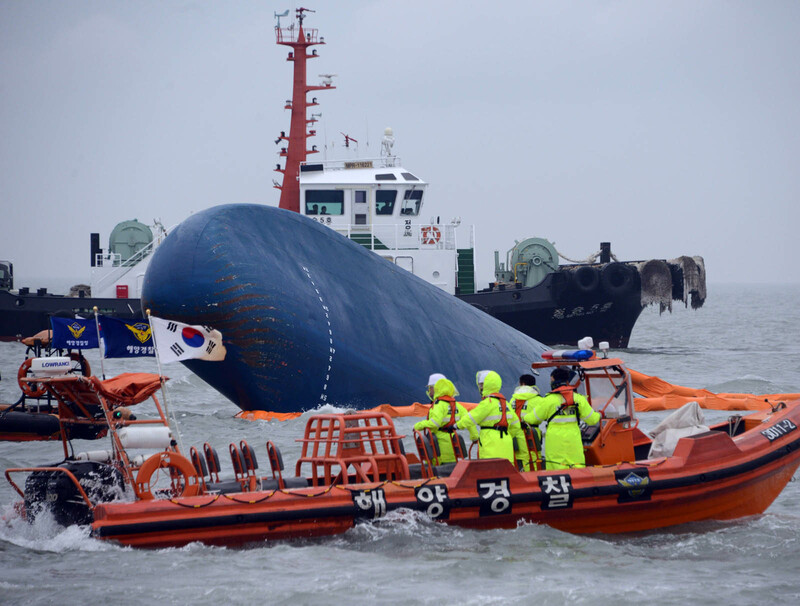 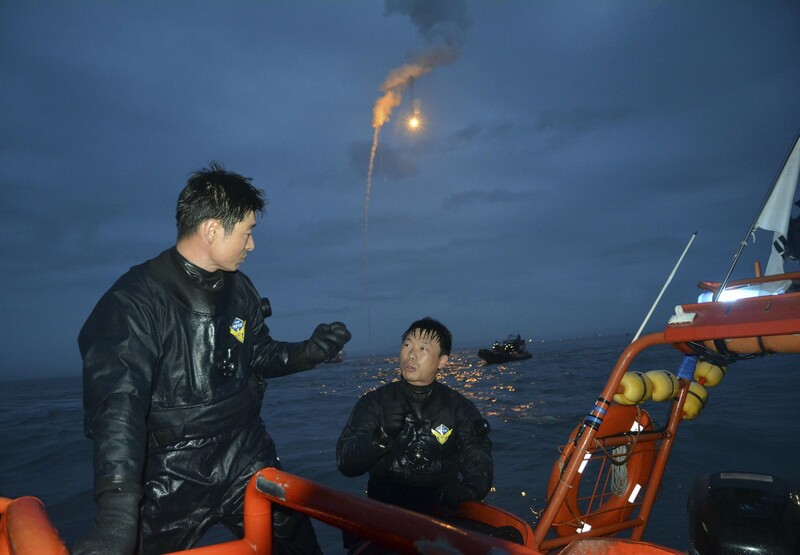 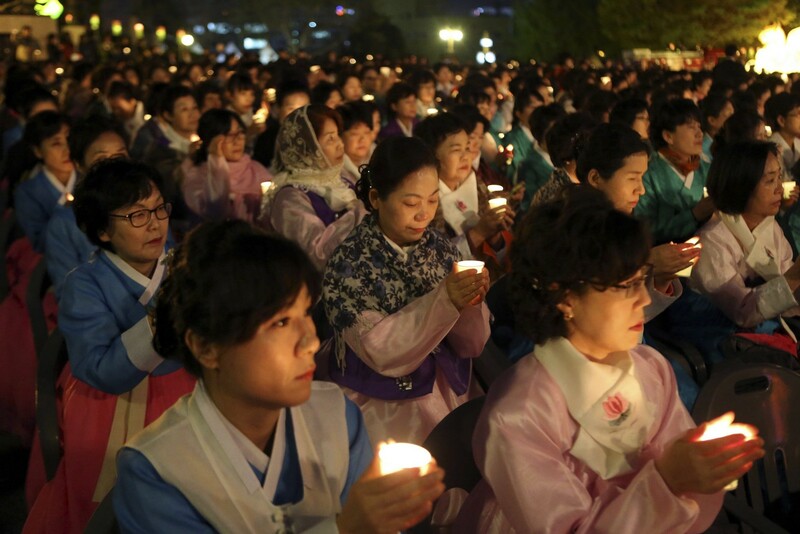 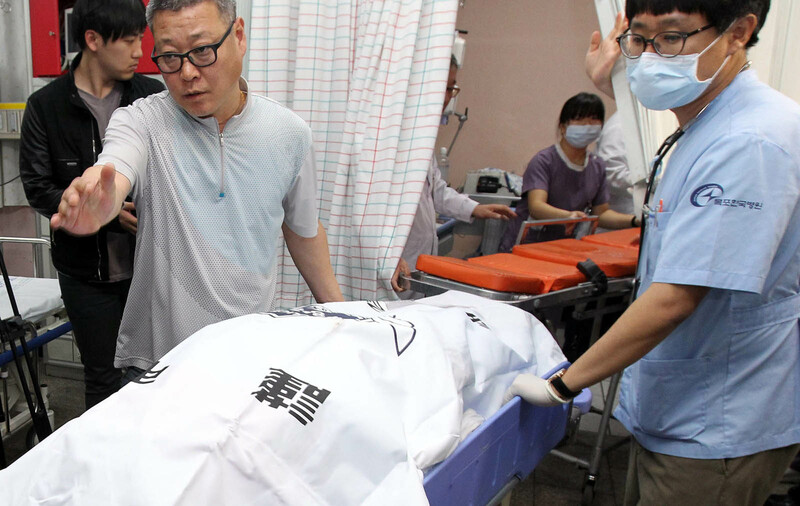 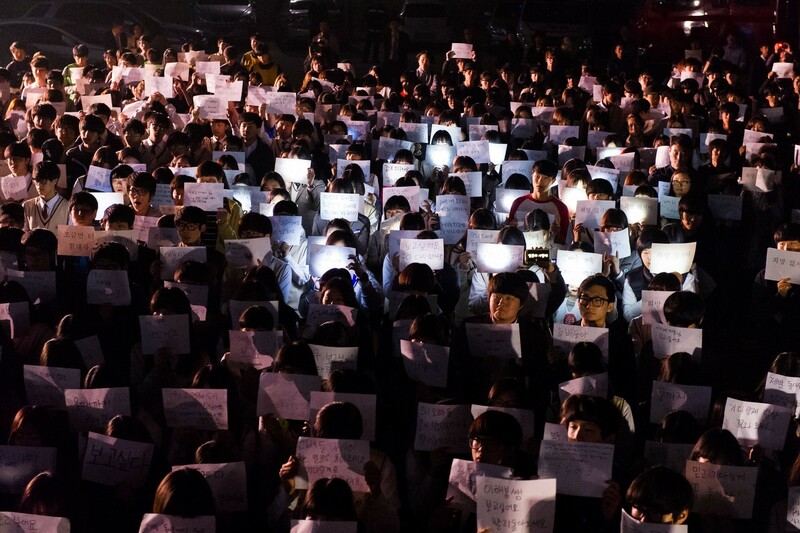 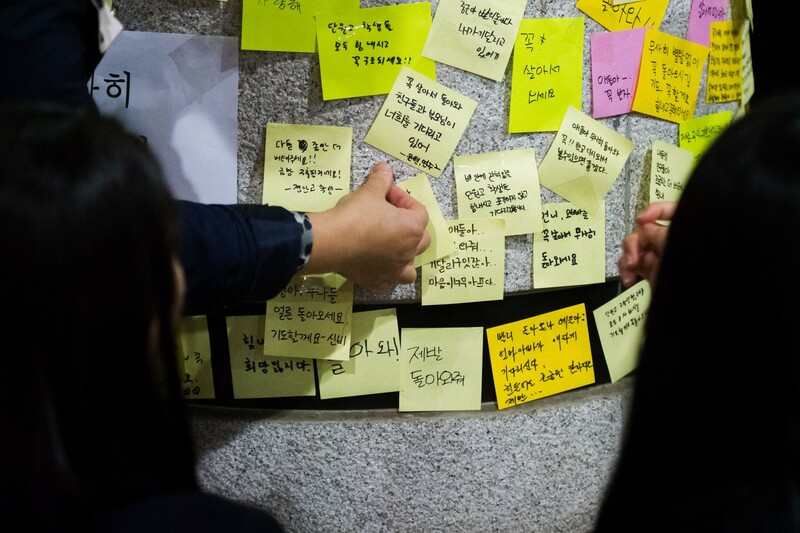 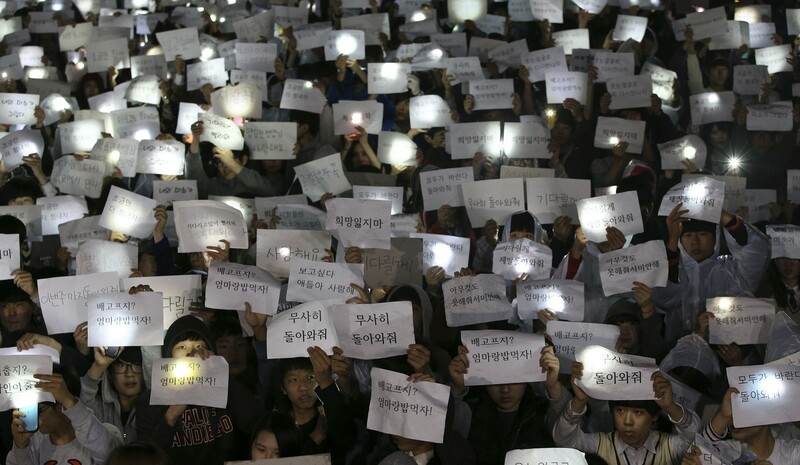 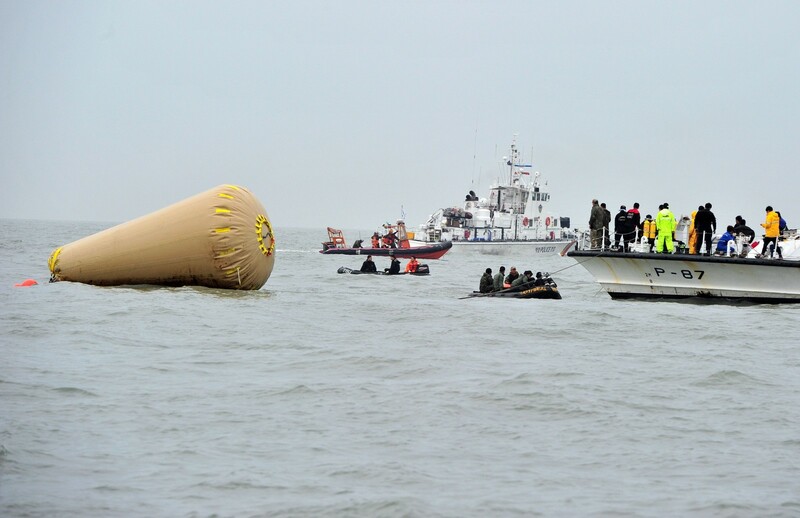 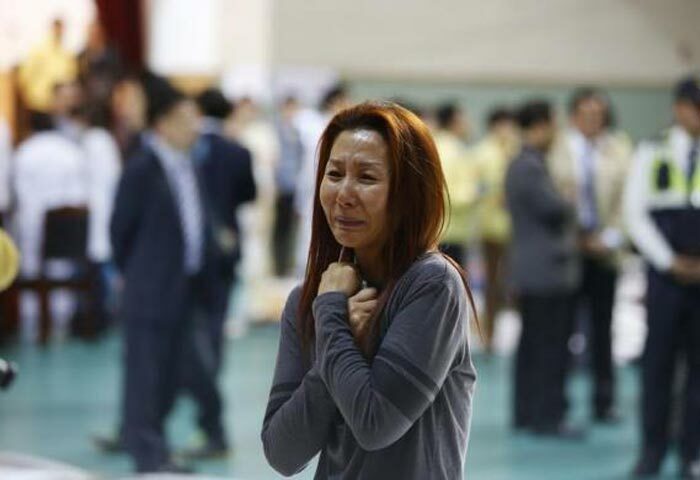 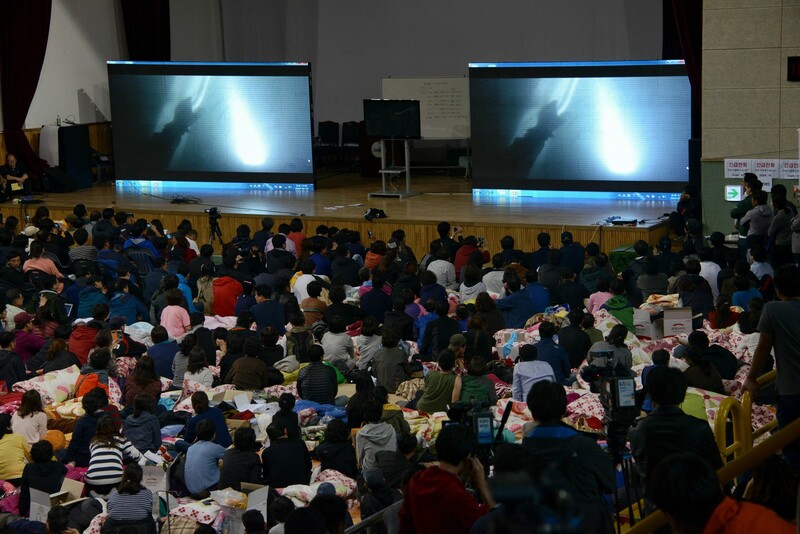 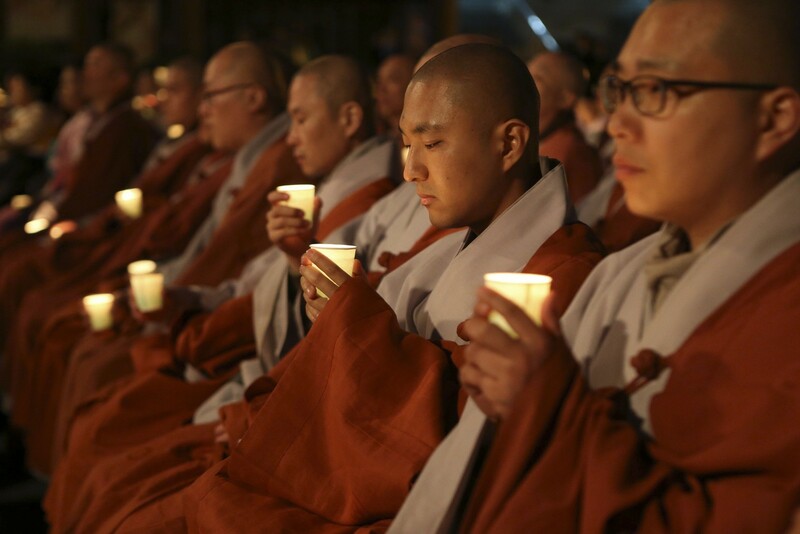 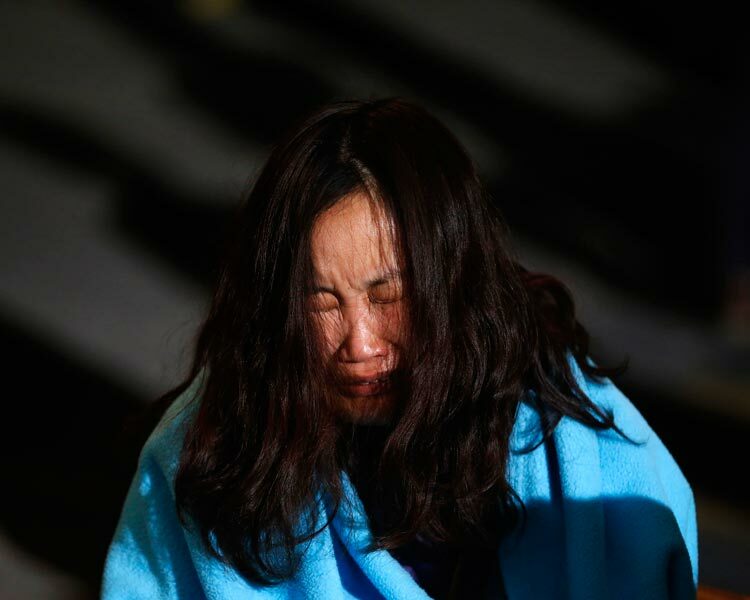 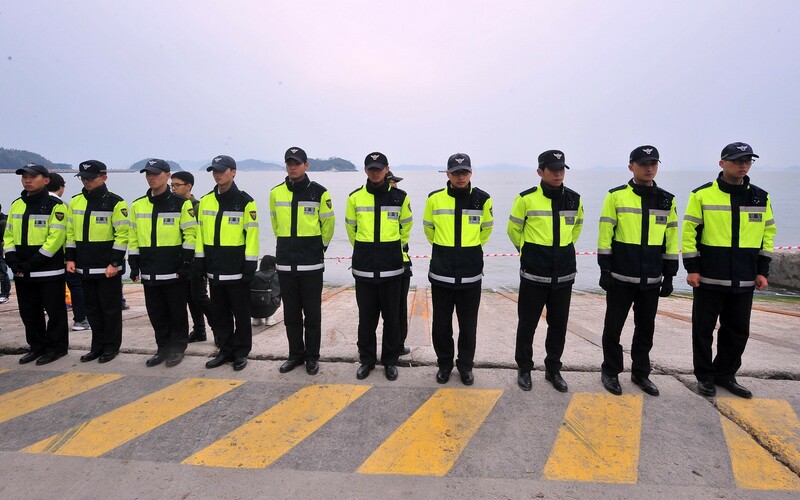 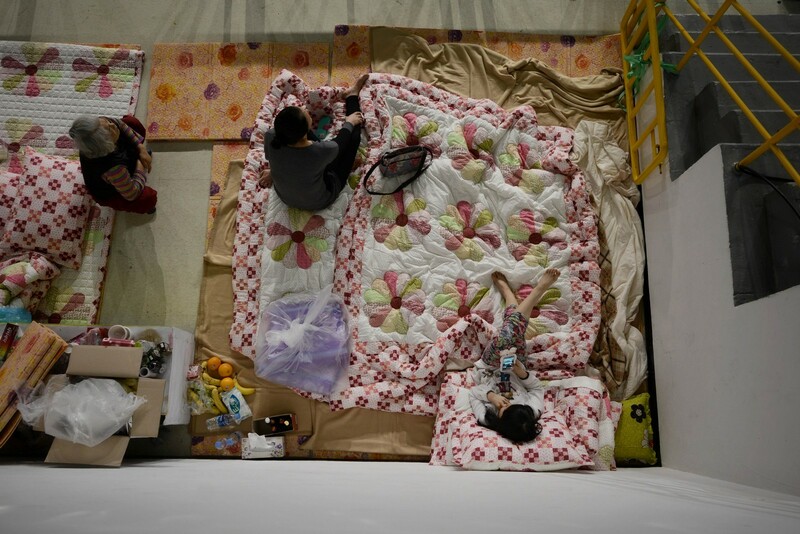 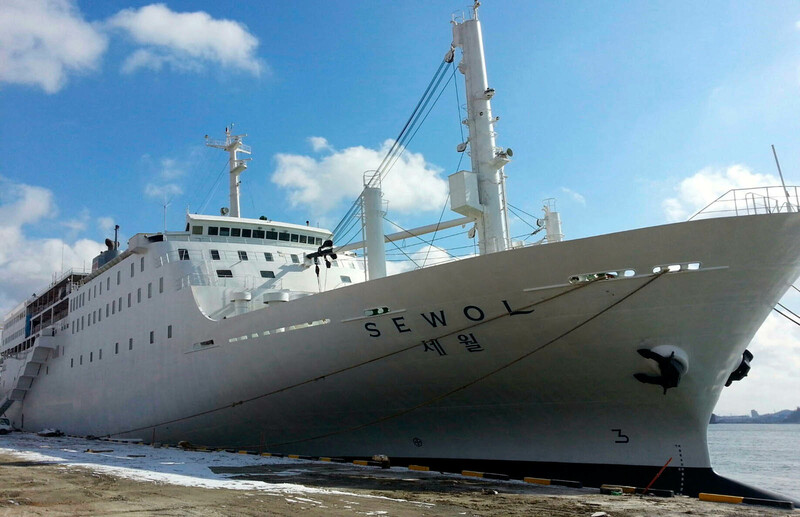 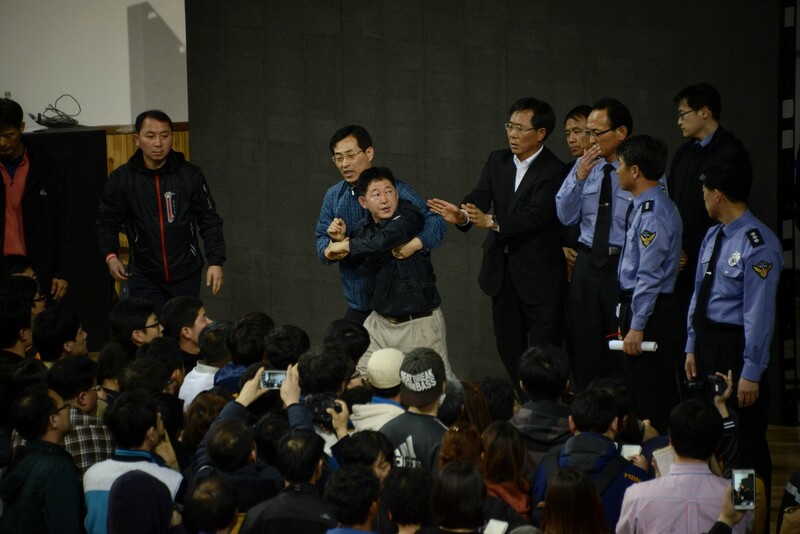 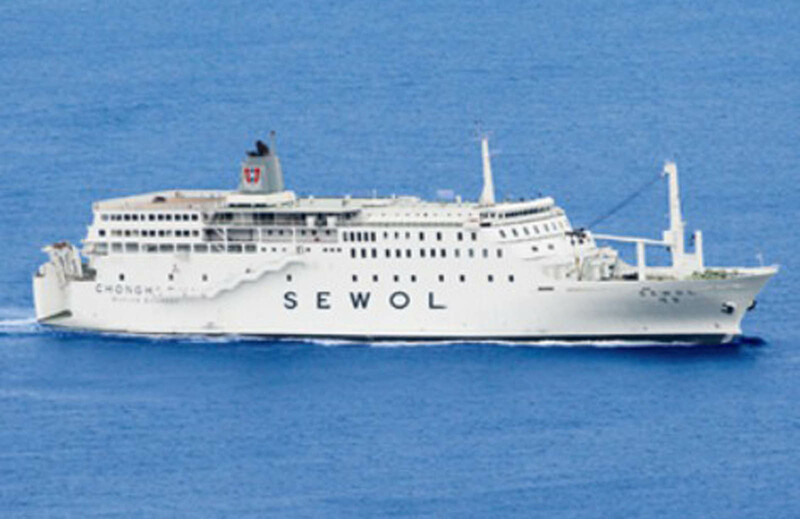 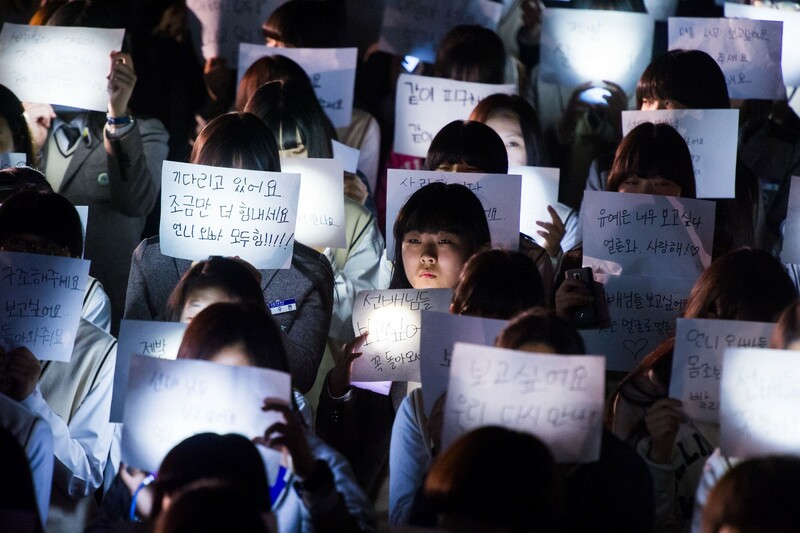 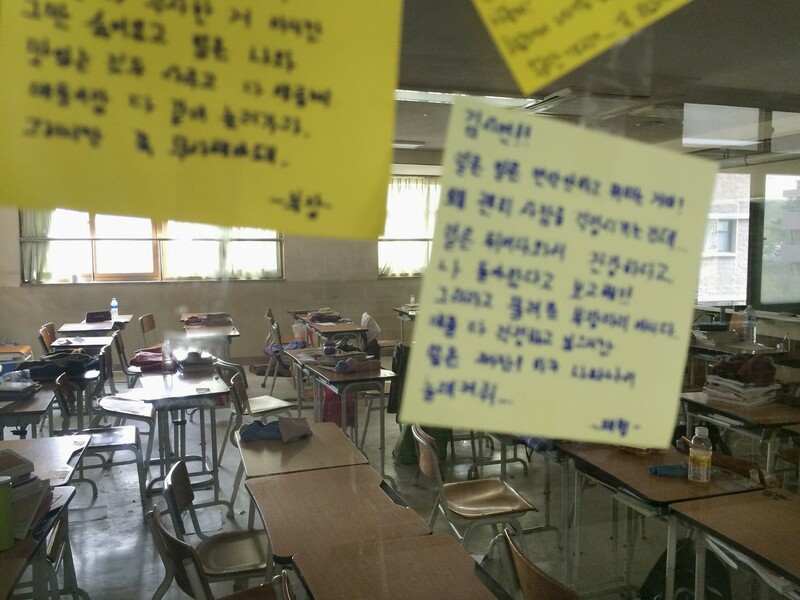 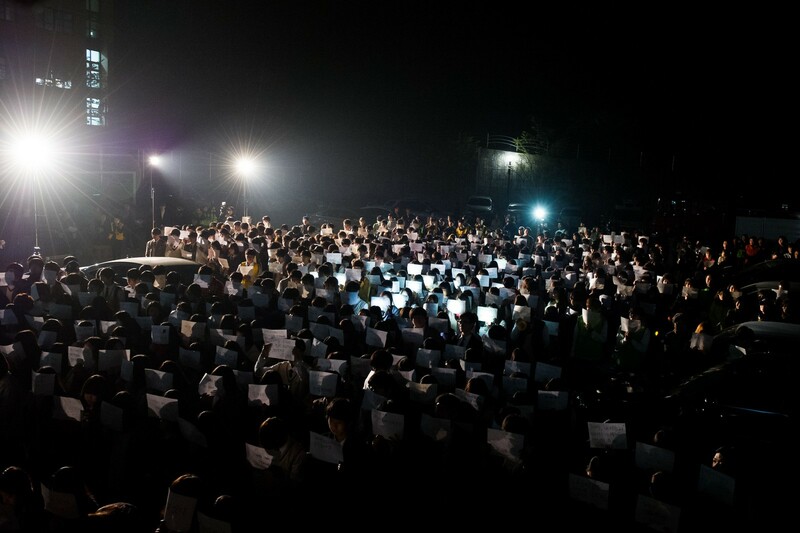 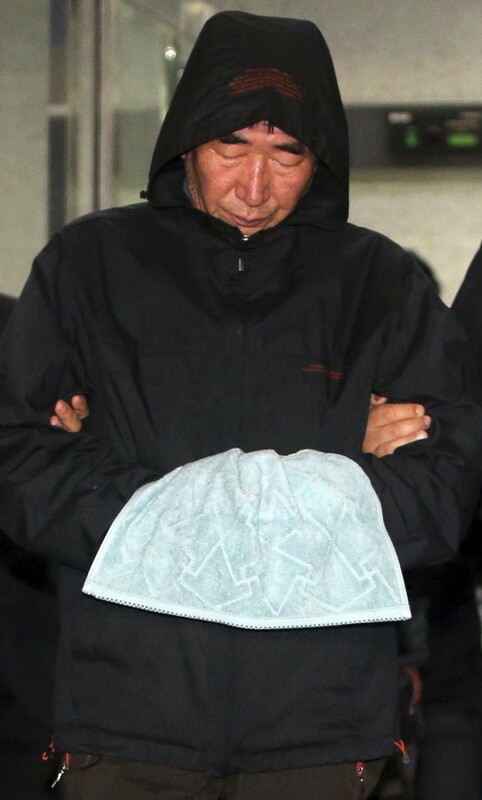 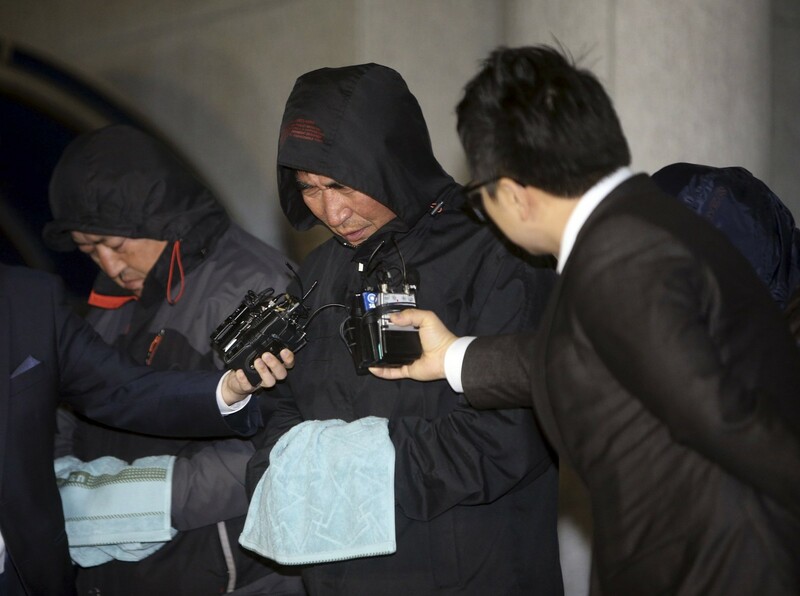 Based on the accounts provided by crew members, the investigators suspect that the Sewol sharply changed direction when a more gradual change was required. 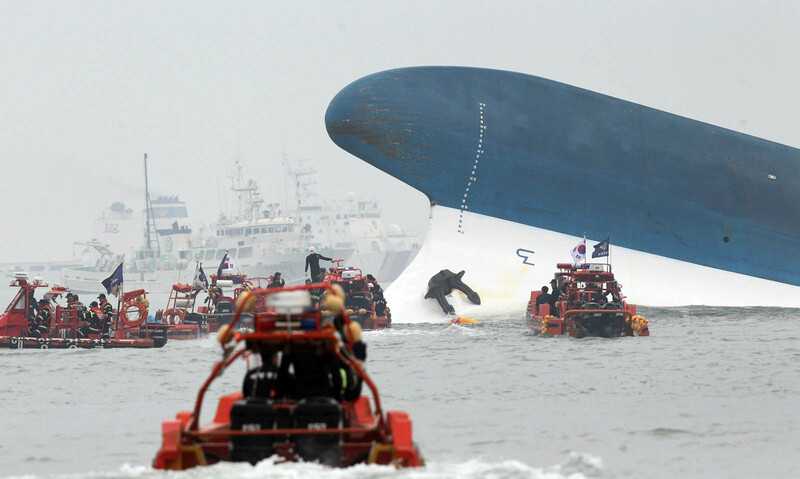 The ship was carrying 180 vehicles and 1,157 metric tons of cargo. 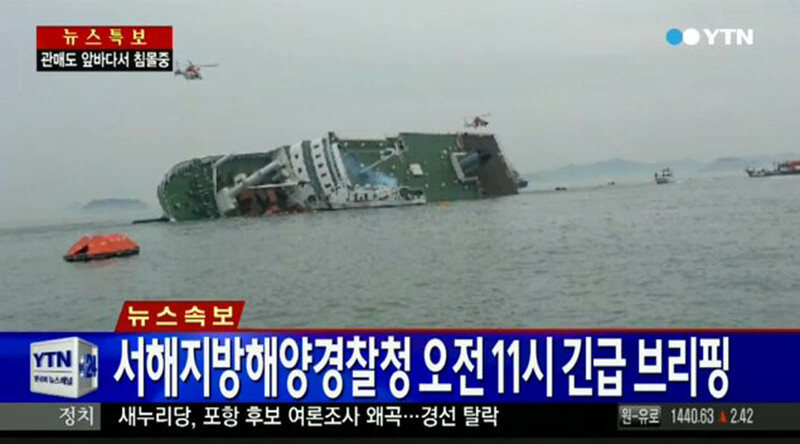 As the ship lost balance, its steering equipment is thought to have malfunctioned. 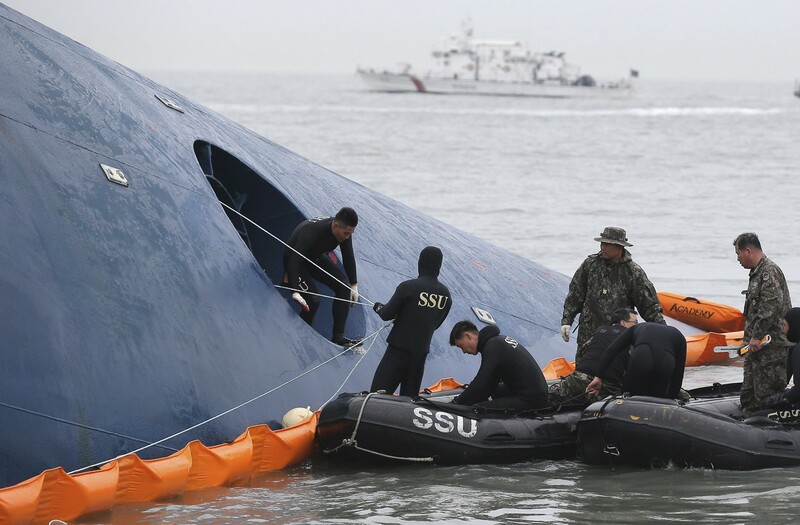 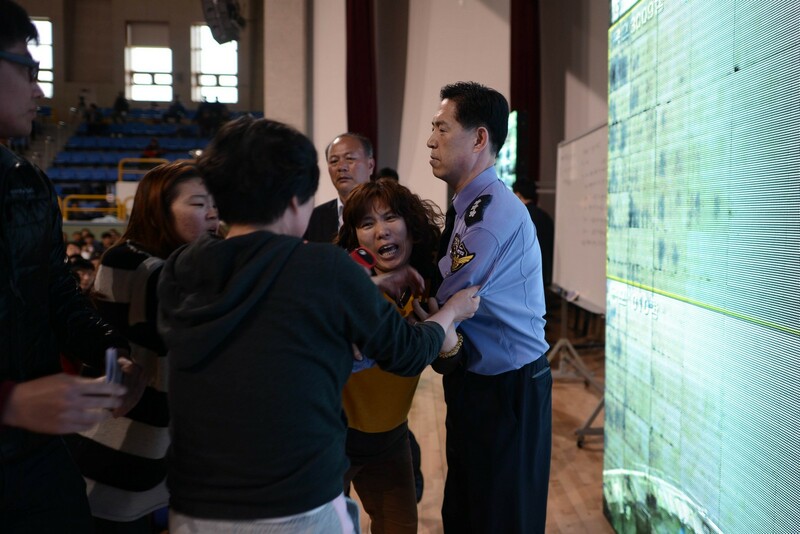 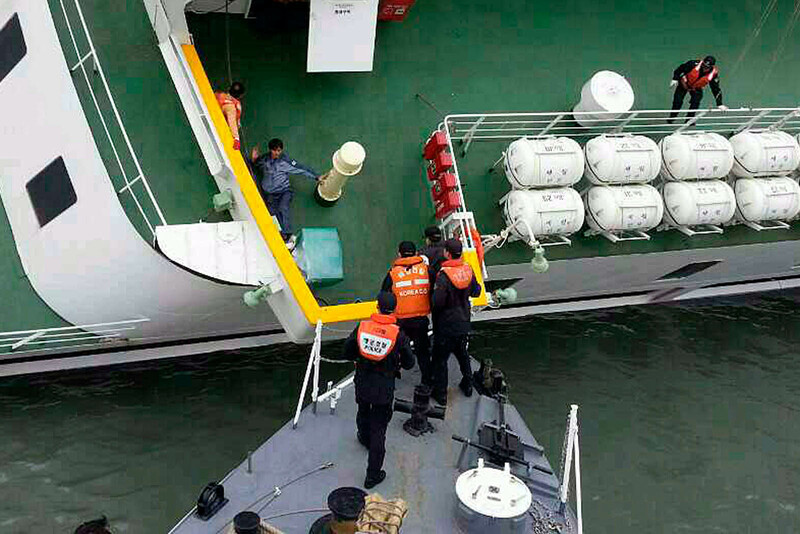 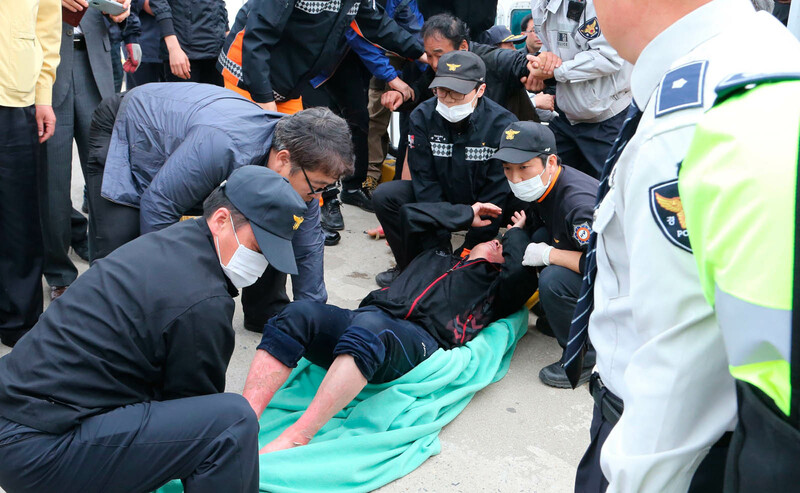 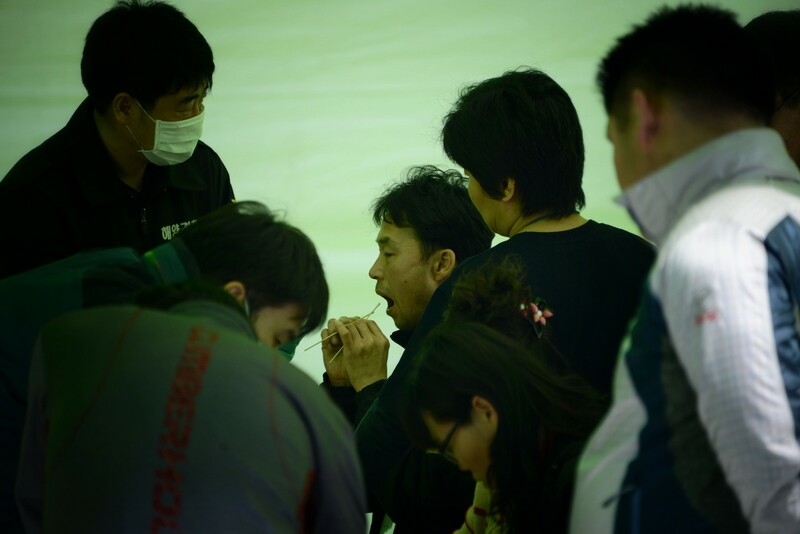 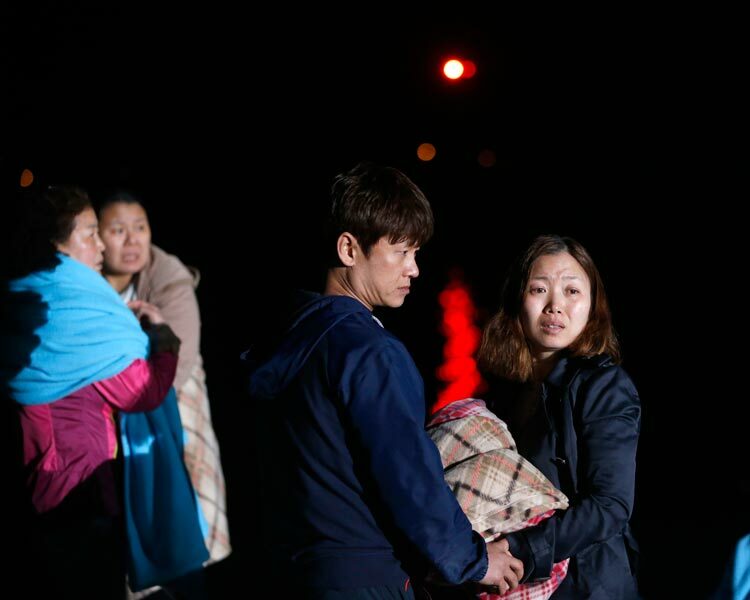 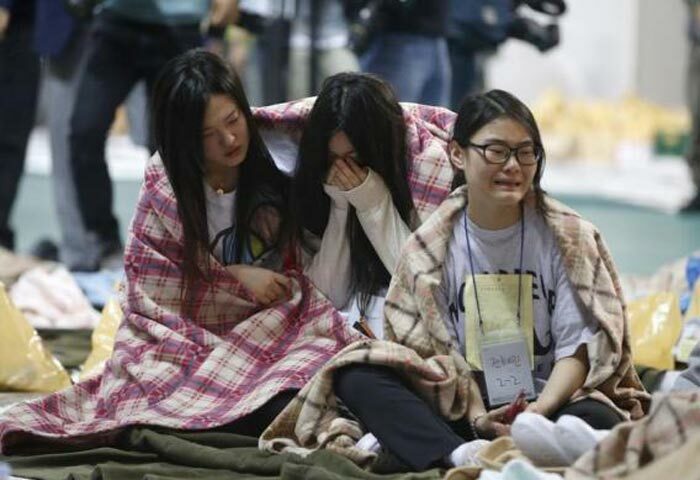 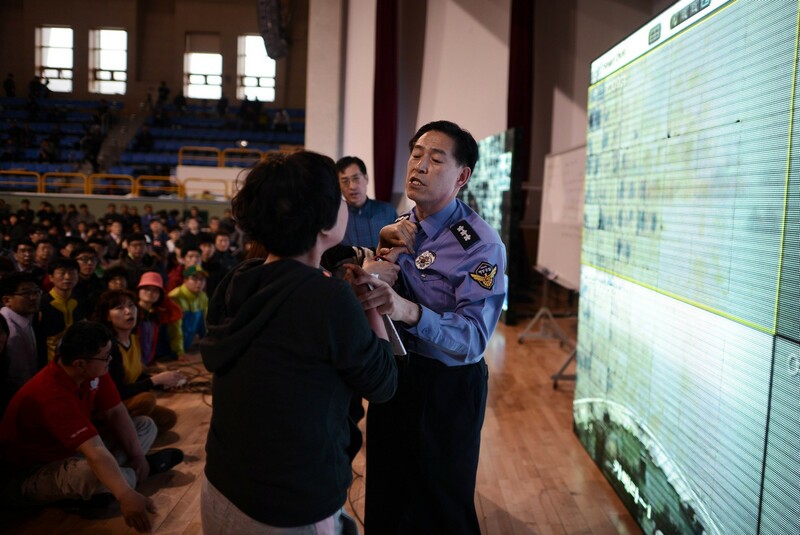 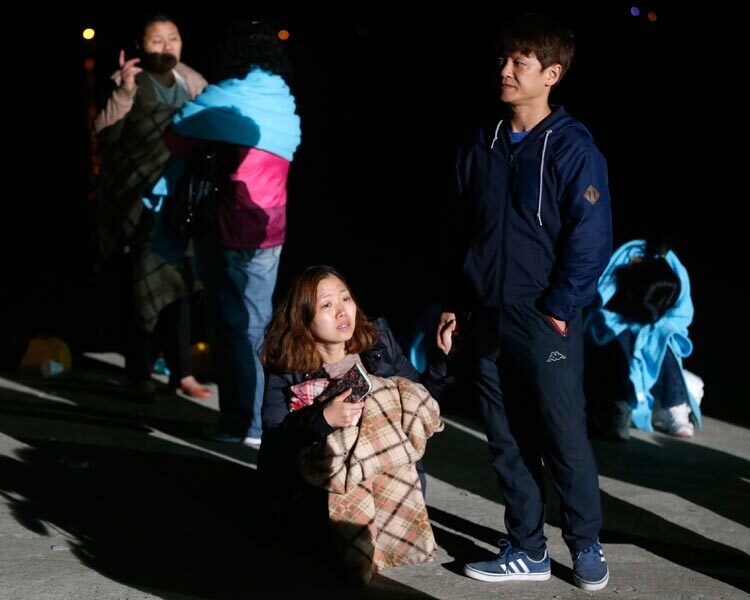 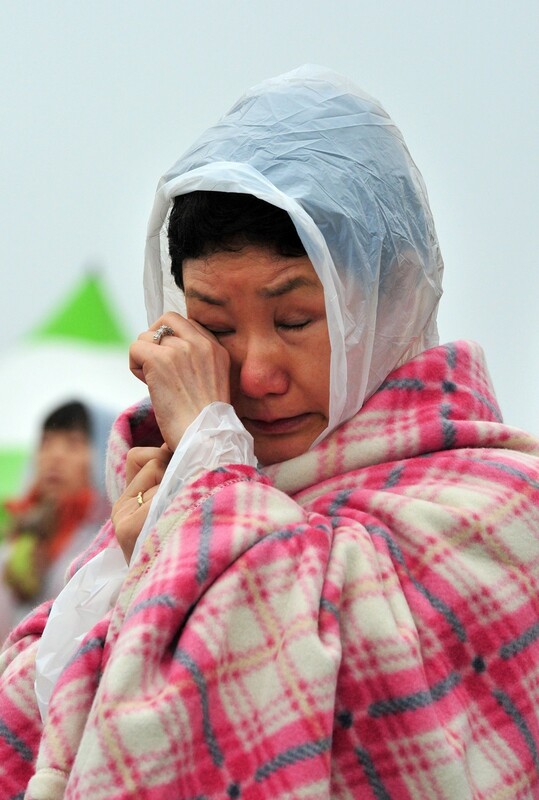 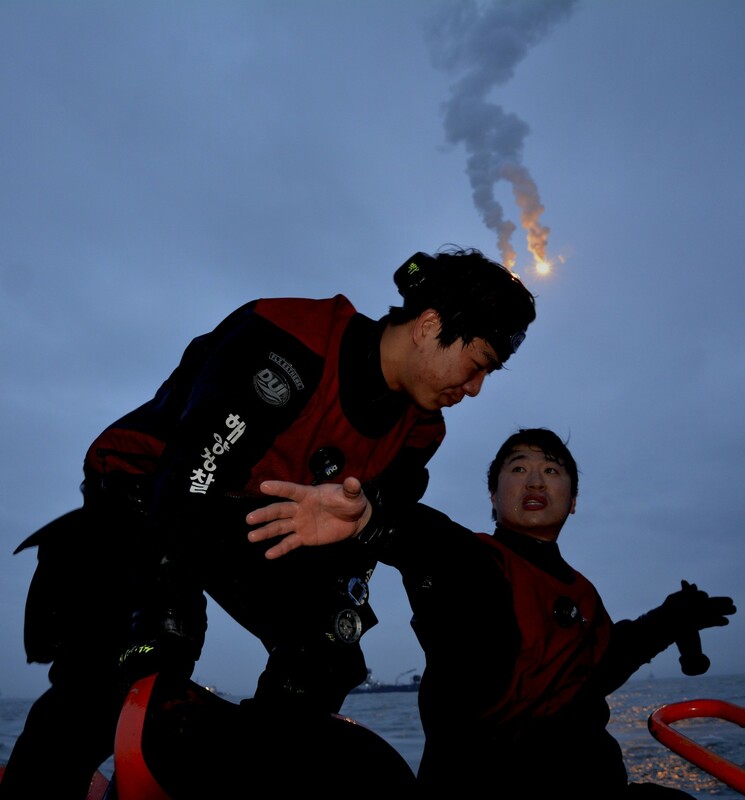 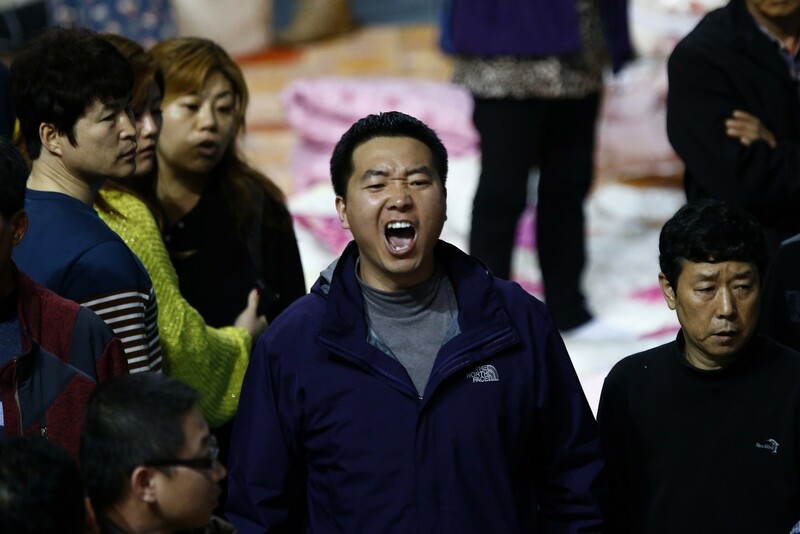 With new evidence emerging, the authorities now suspect that the loud bang survivors report hearing just before the ferry began sinking was made by cargo that had come loose. 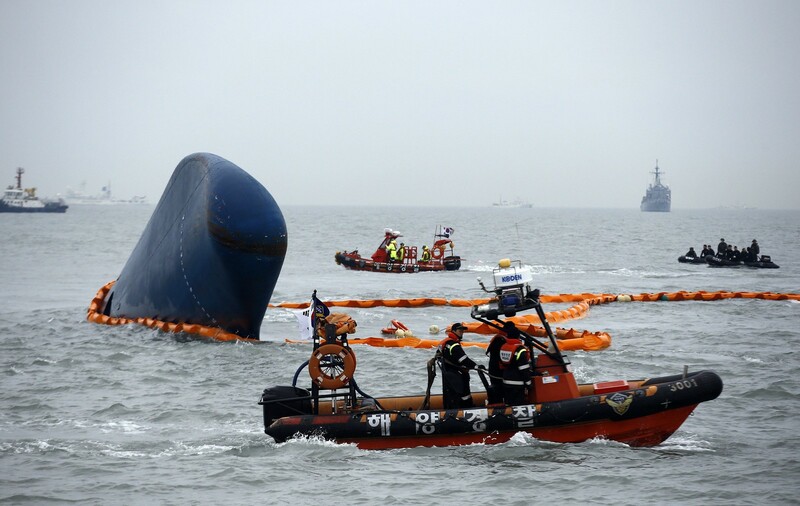 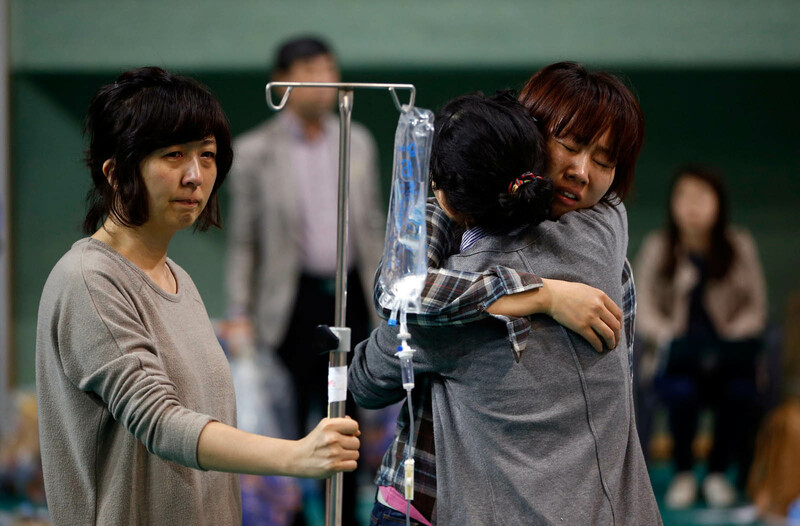 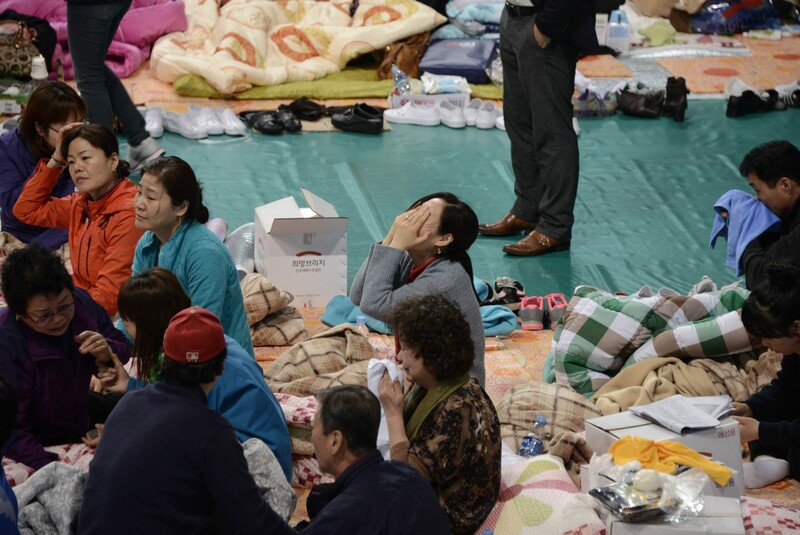 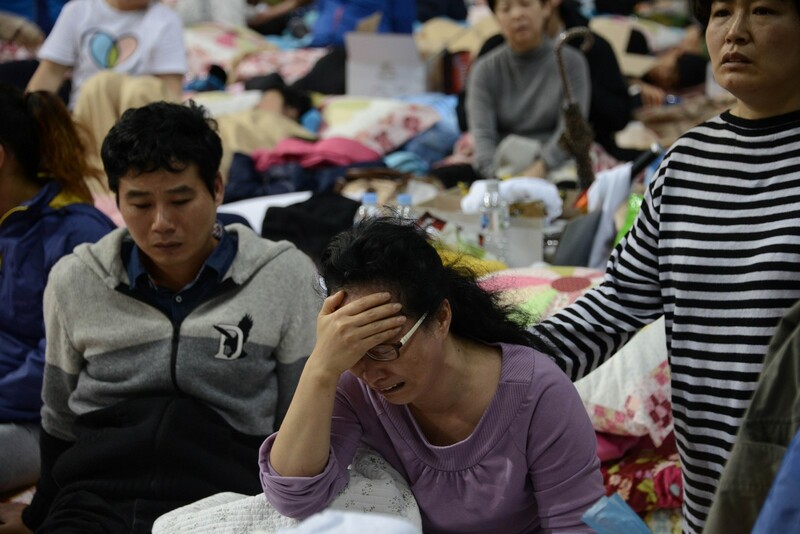 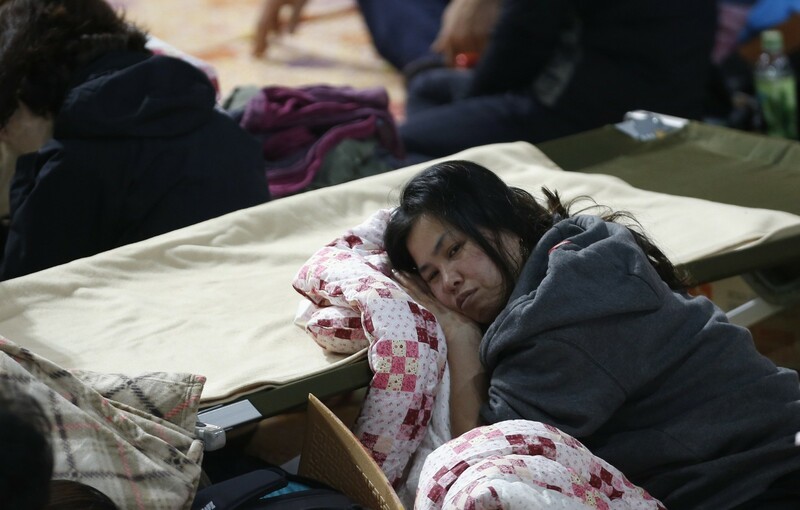 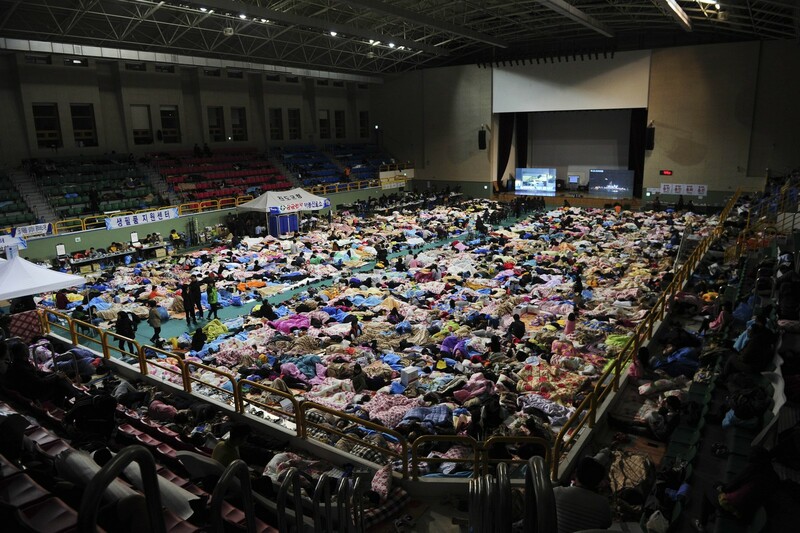 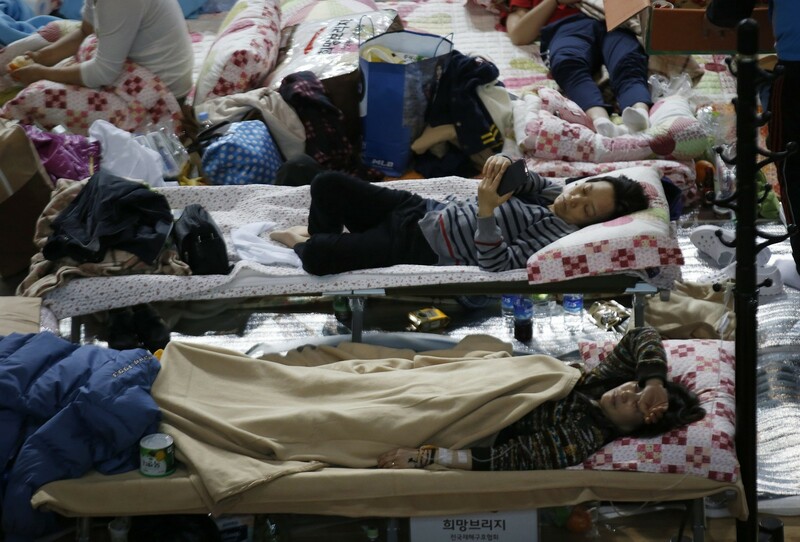 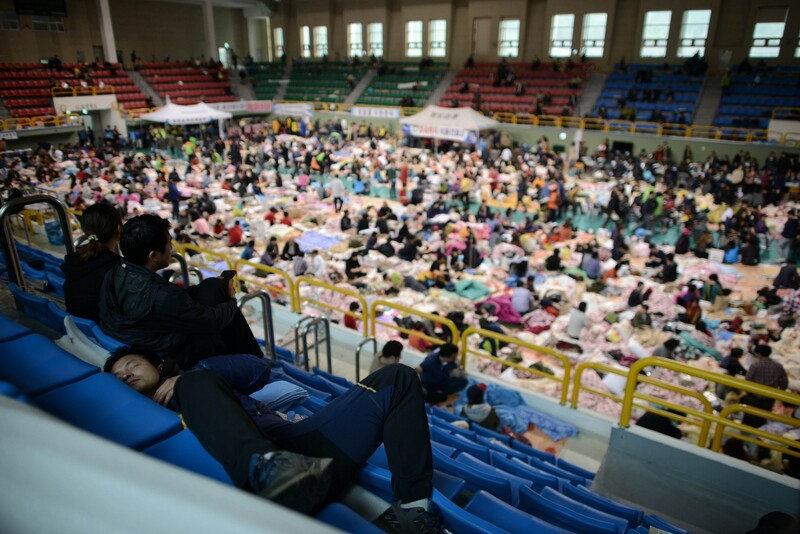 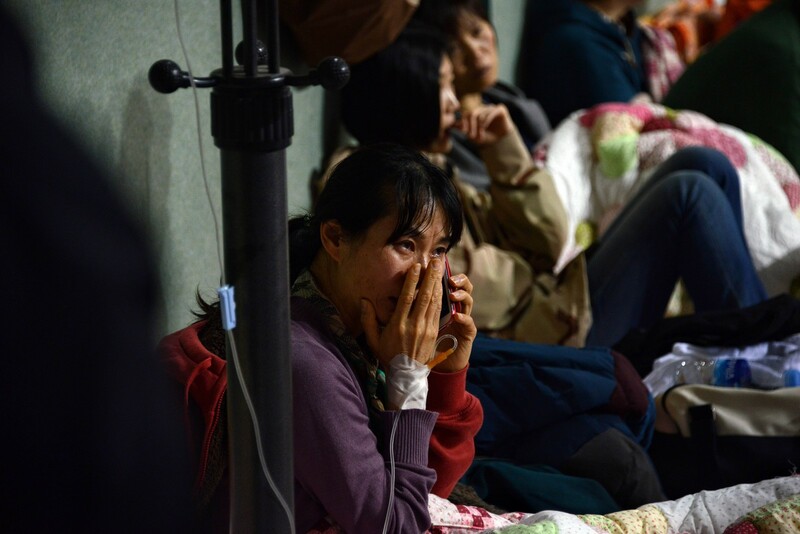 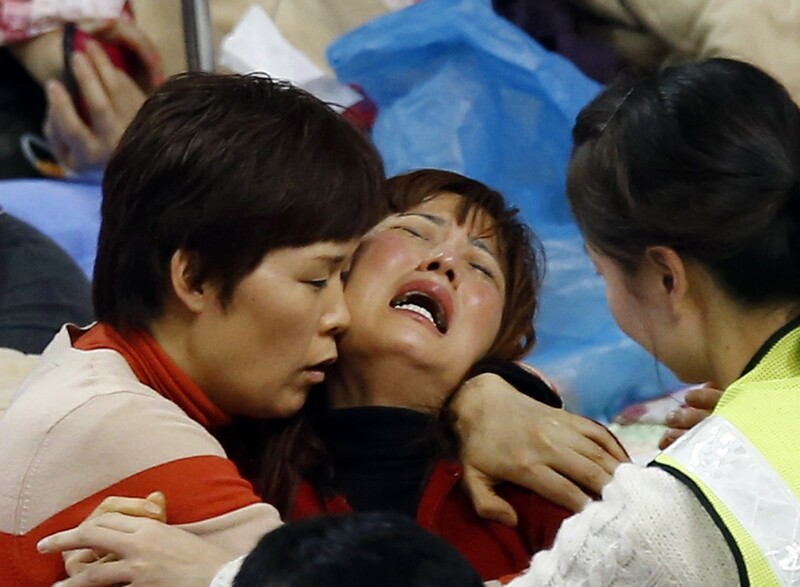 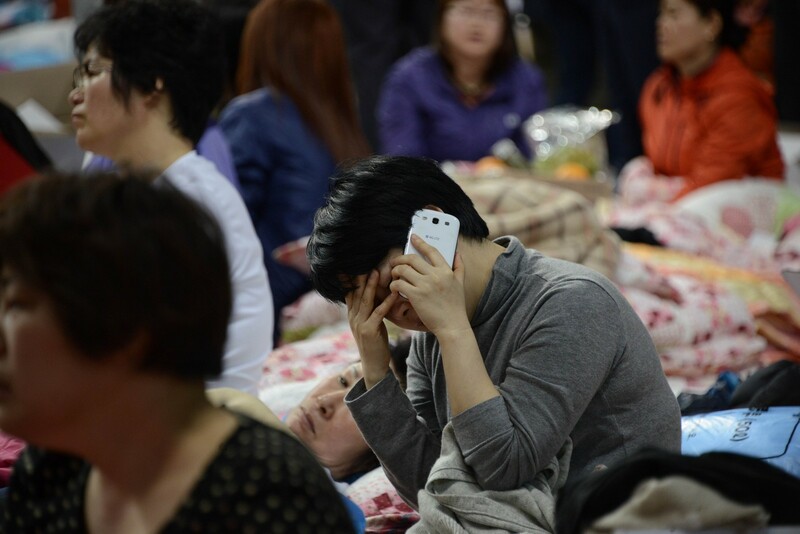 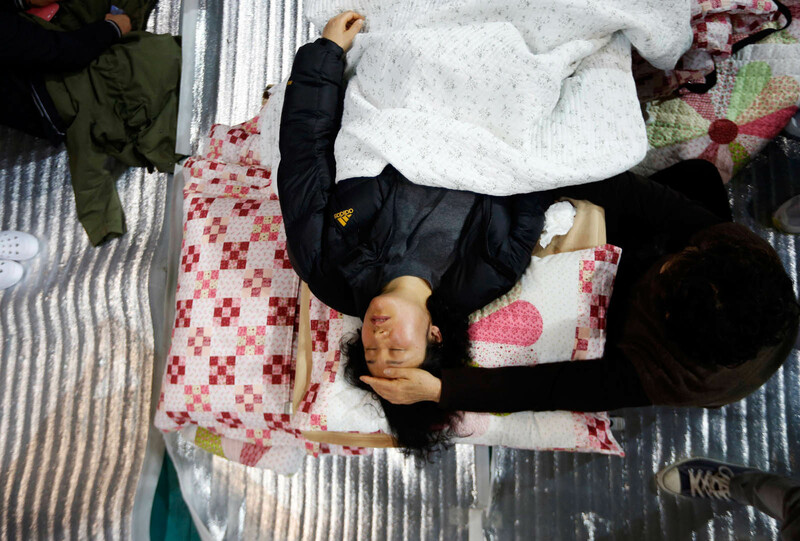 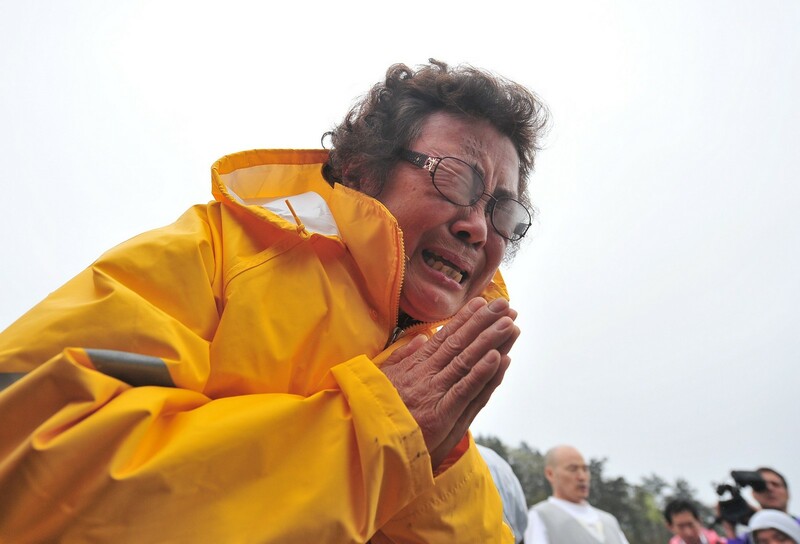 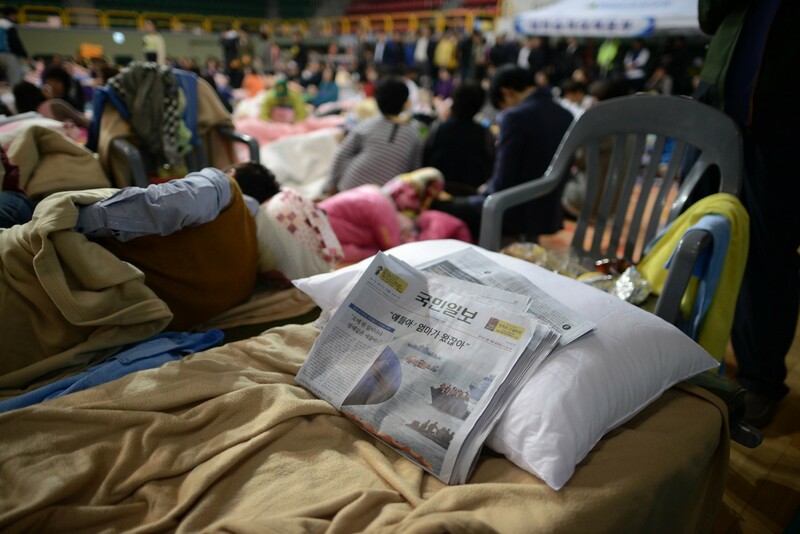 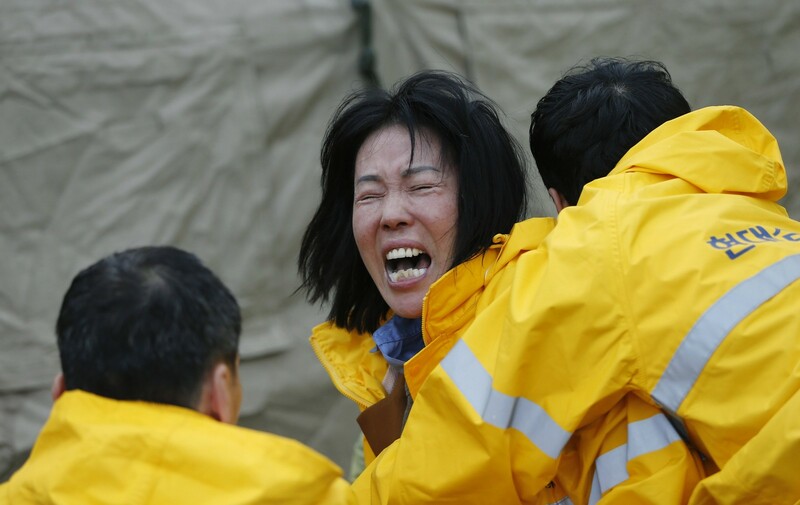 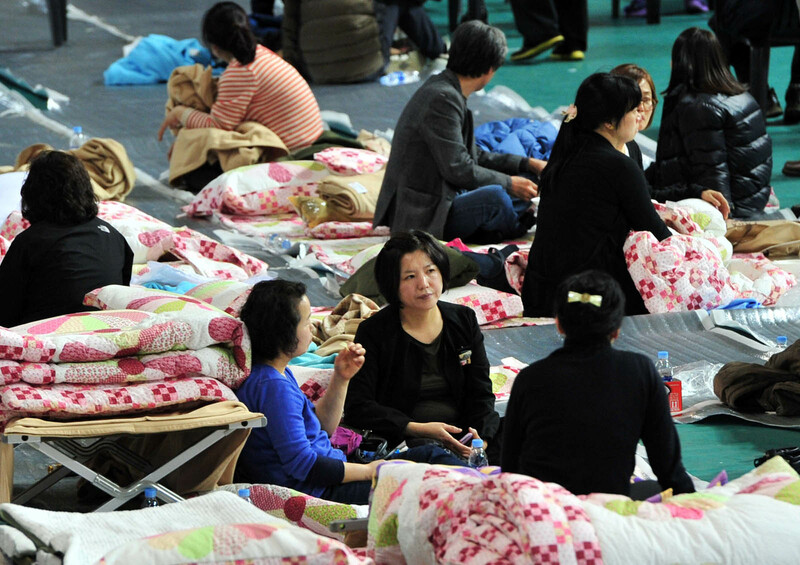 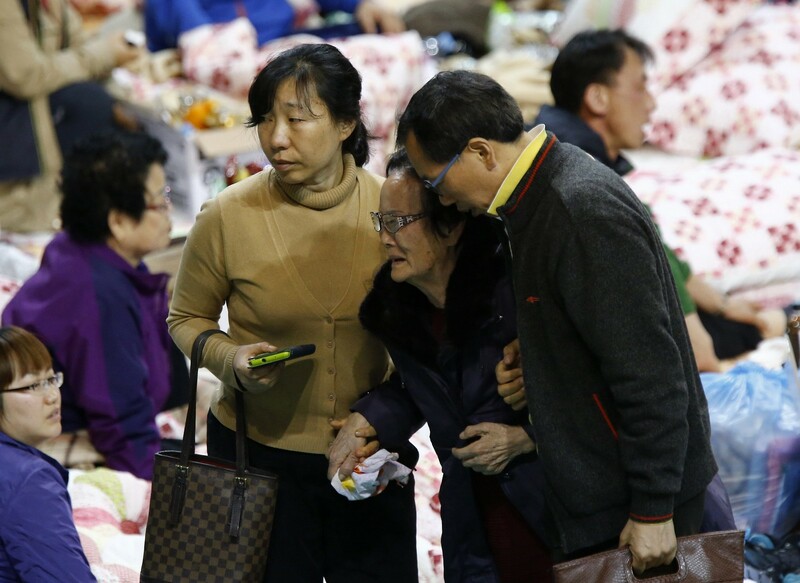 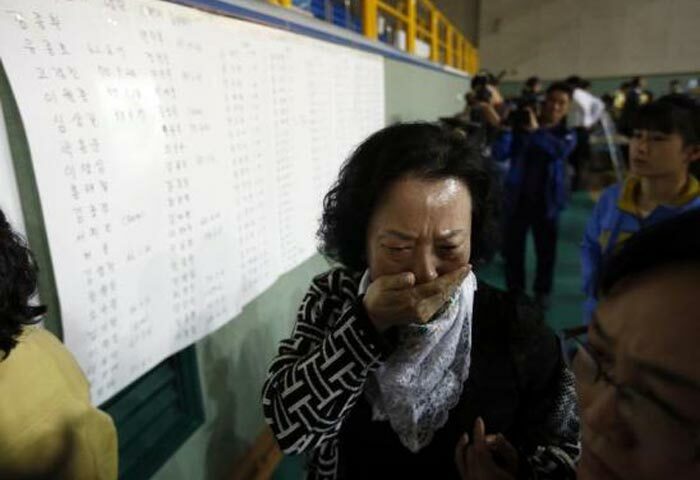 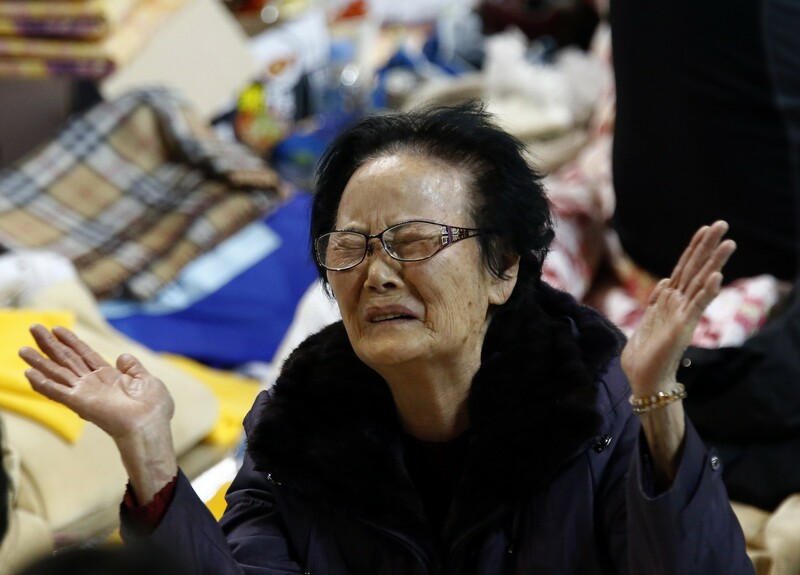 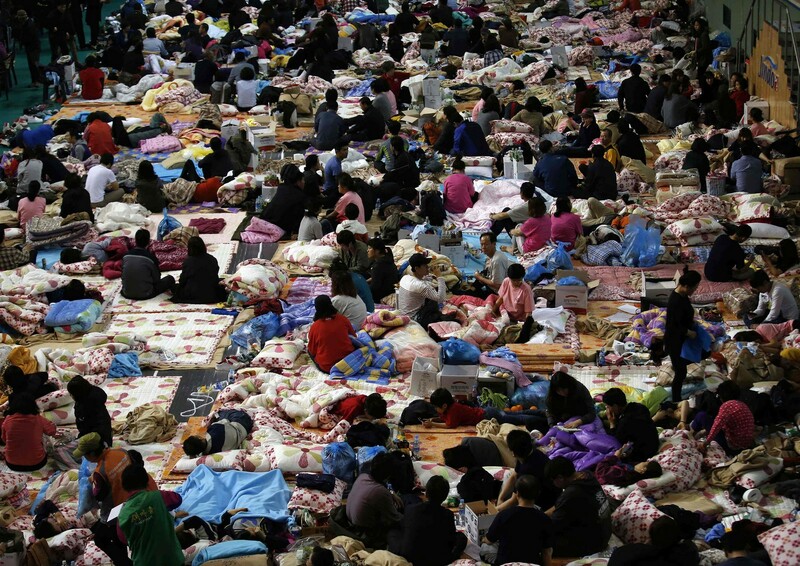 Accounts from survivors had led to speculation that the Sewol may have hit a reef when it sent out an emergency signal at 8:55 am Wednesday.